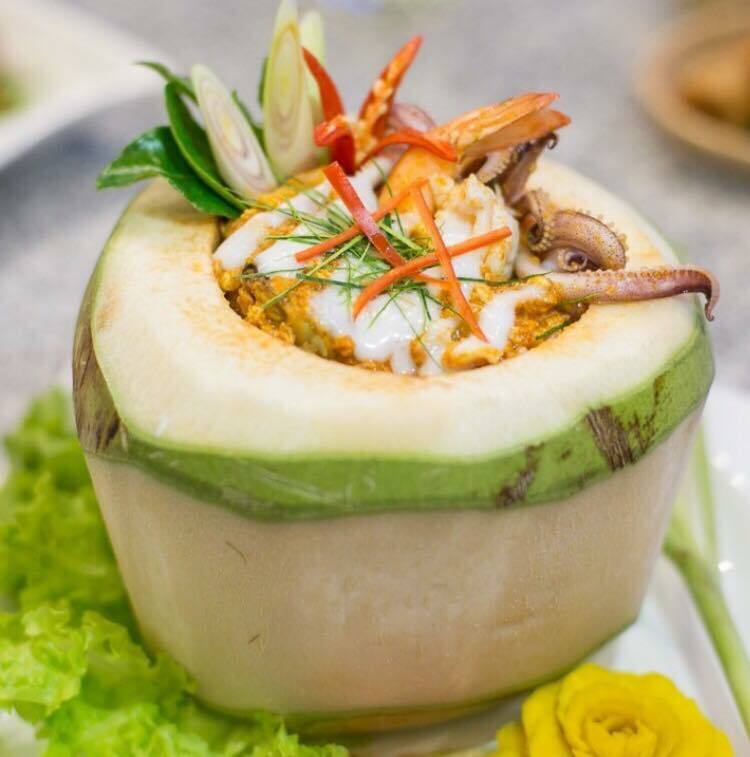 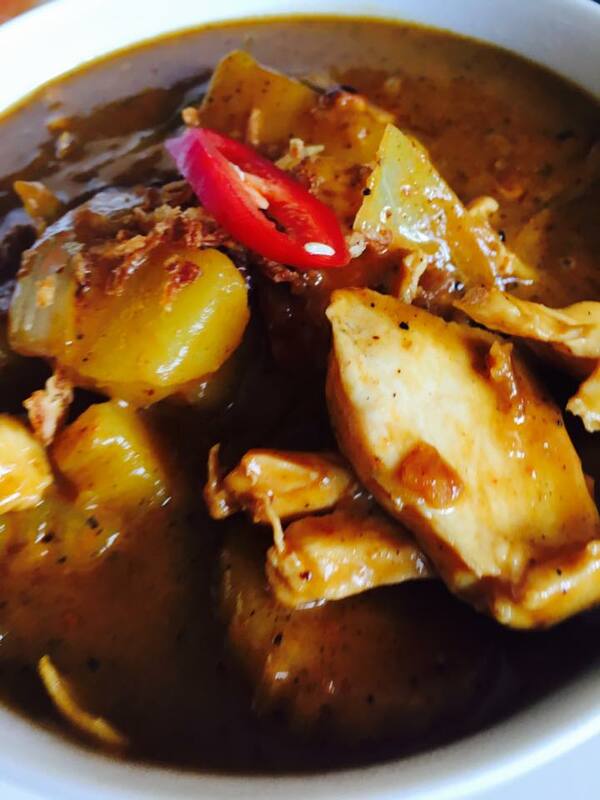 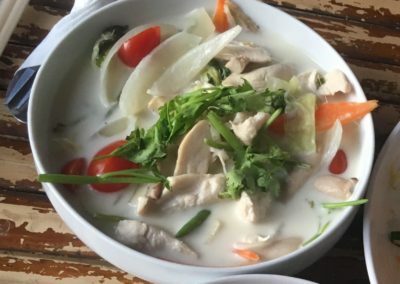 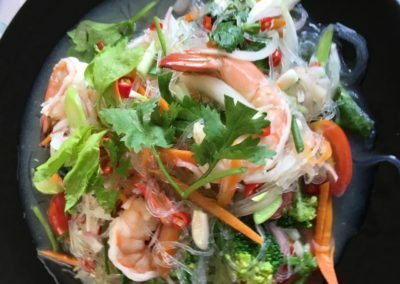 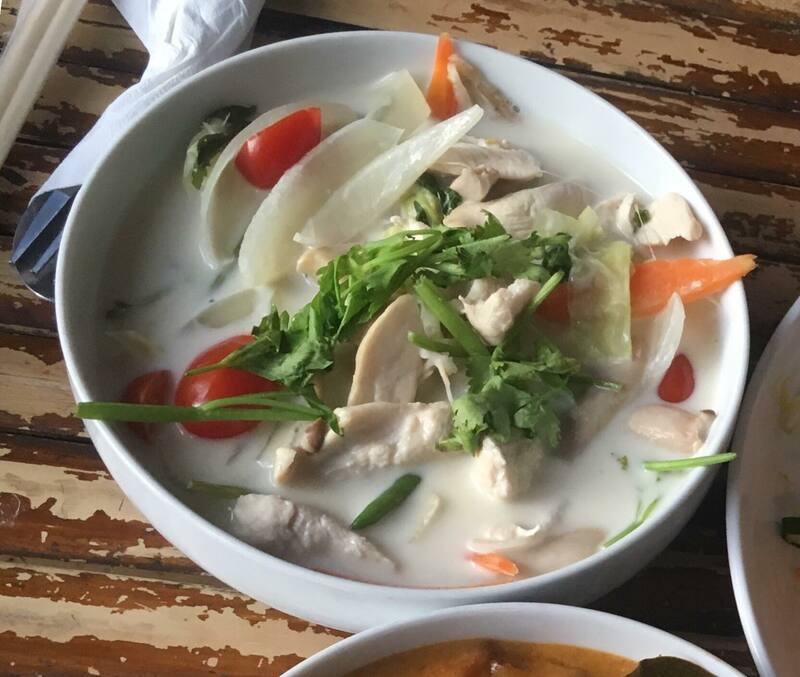 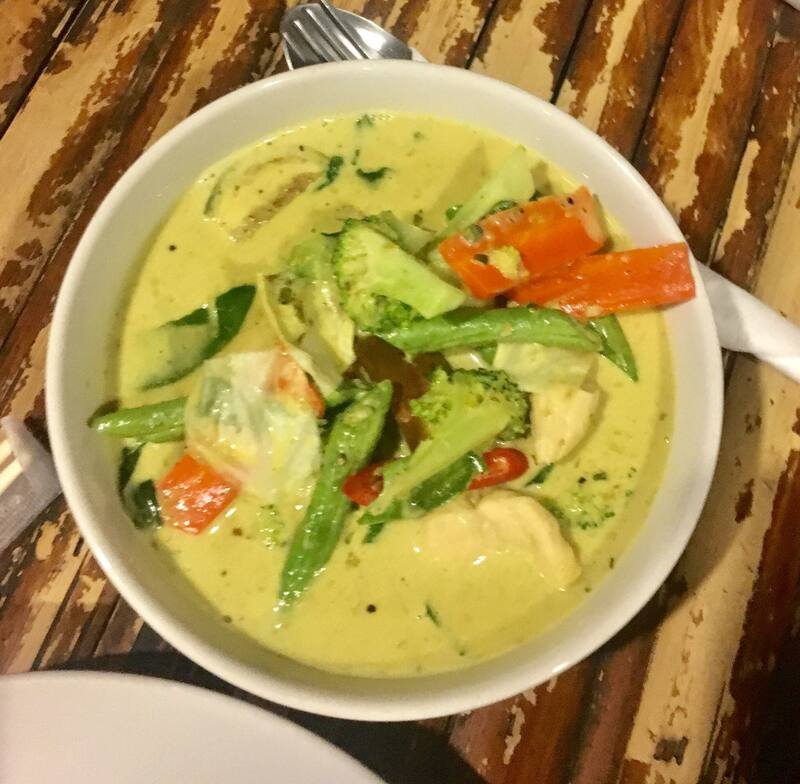 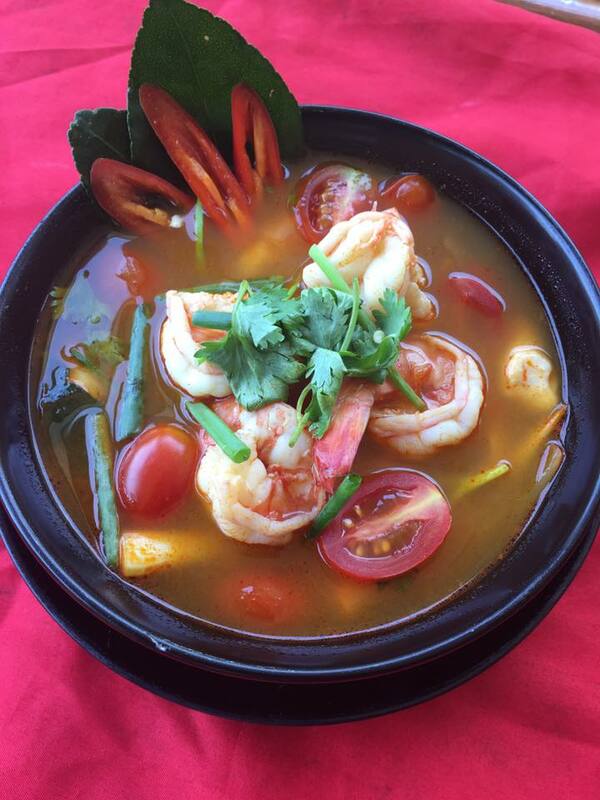 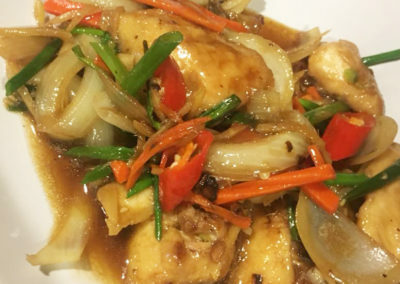 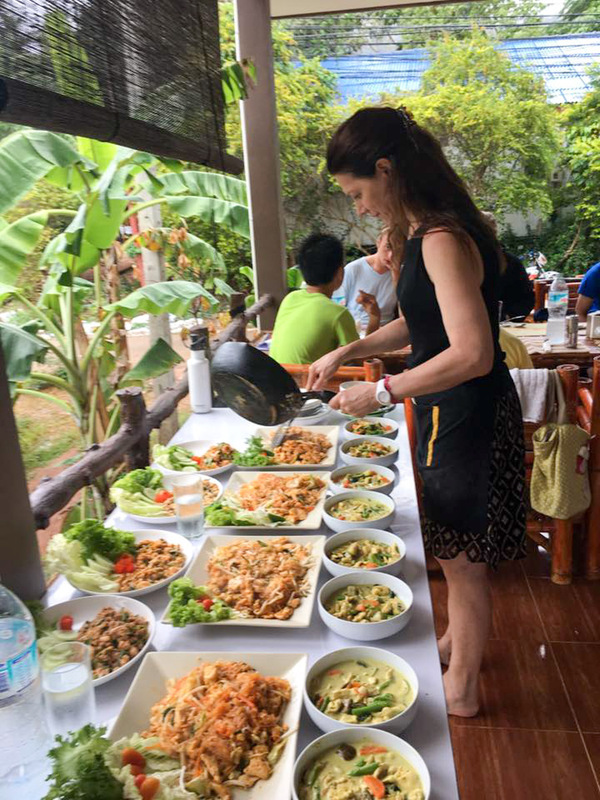 Thai cooking is based on a foundation of simplest ingredients including fresh fish, vegetables, rice, and aromatic thai herbs and spices that we have all come to love. 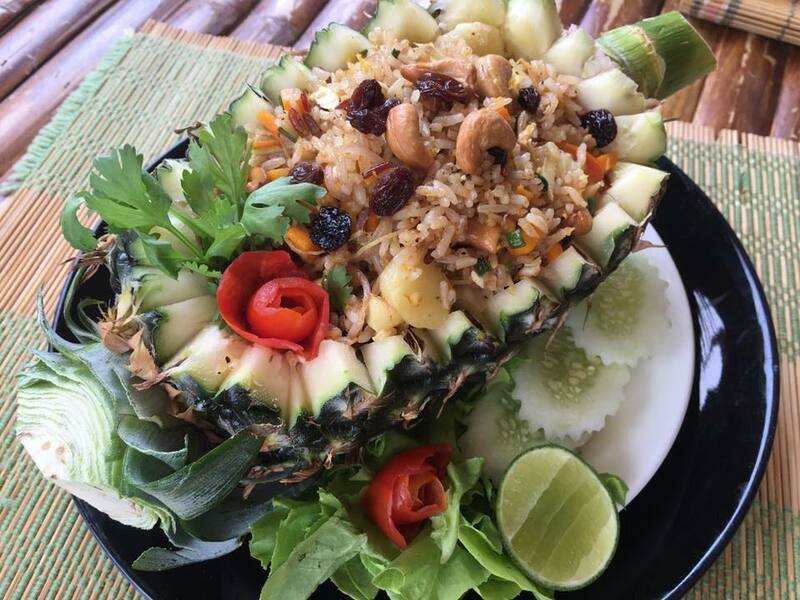 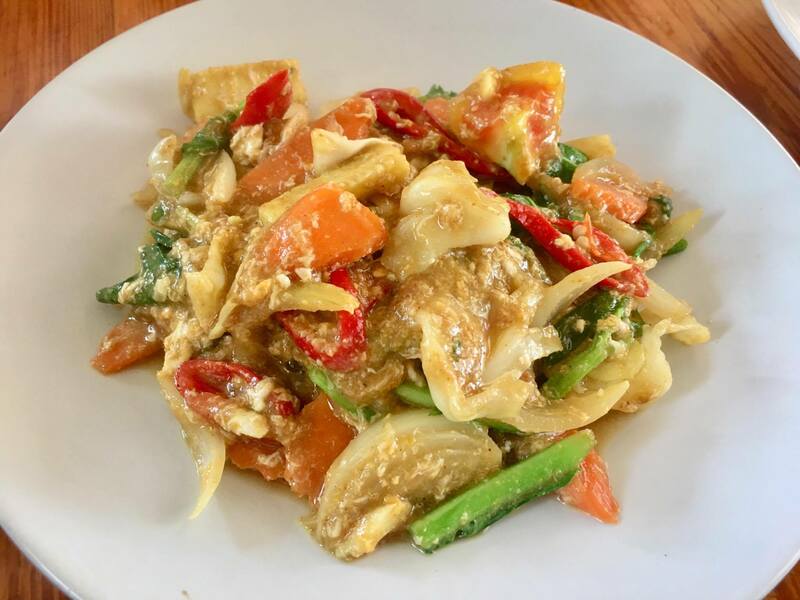 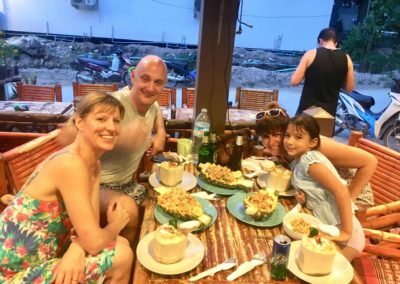 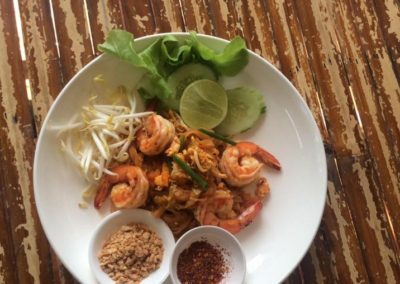 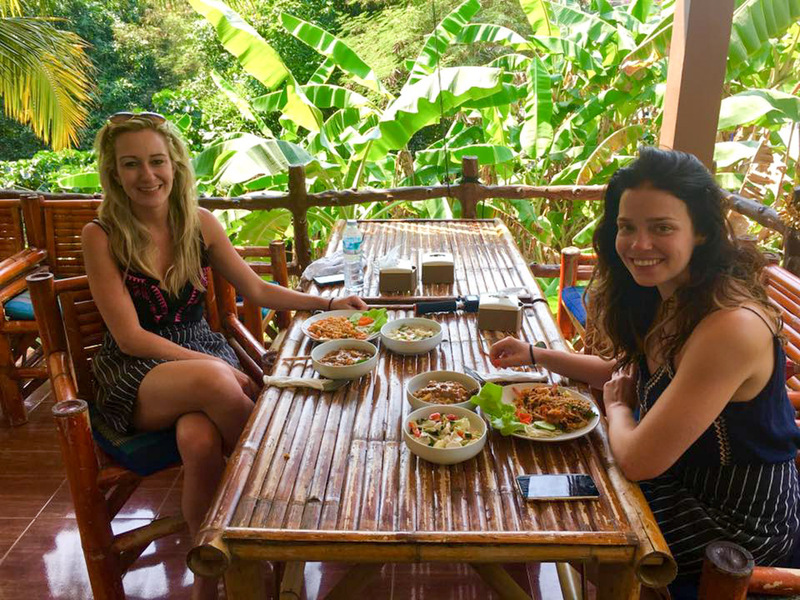 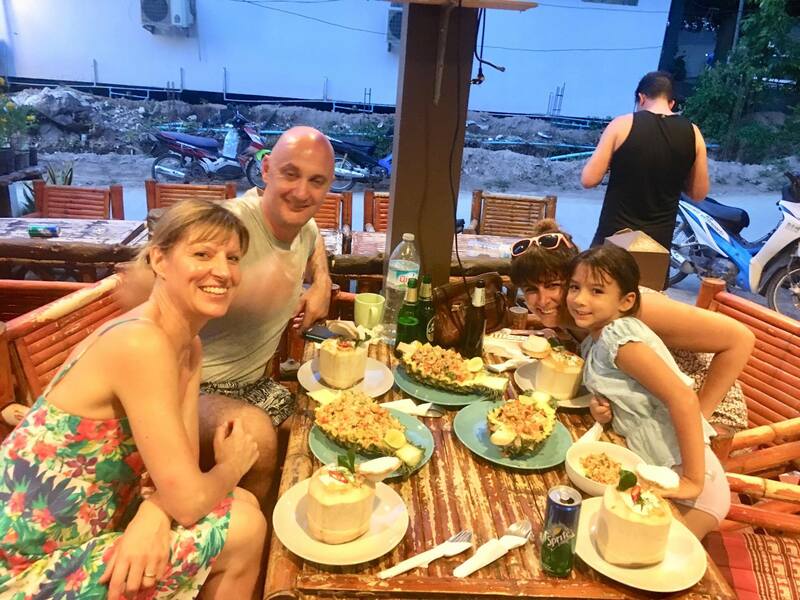 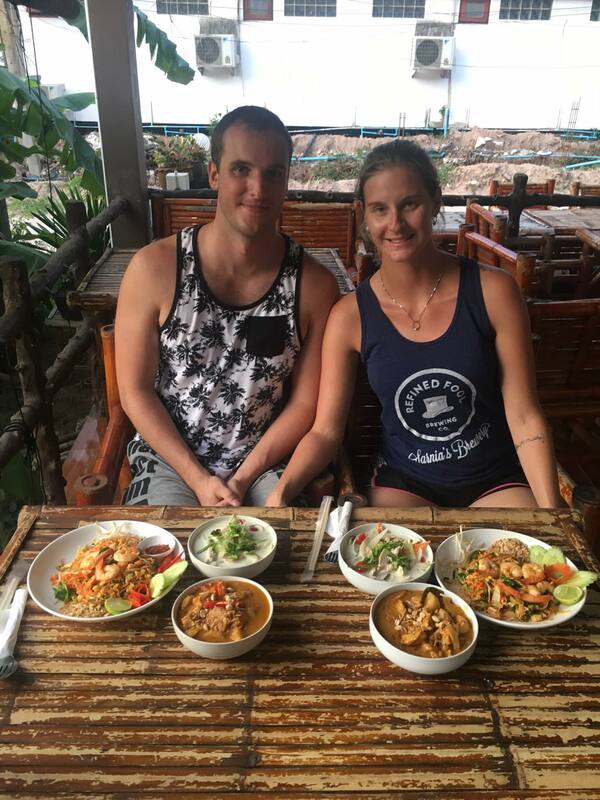 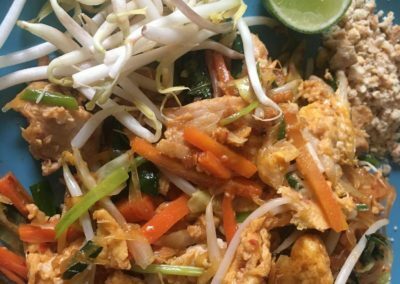 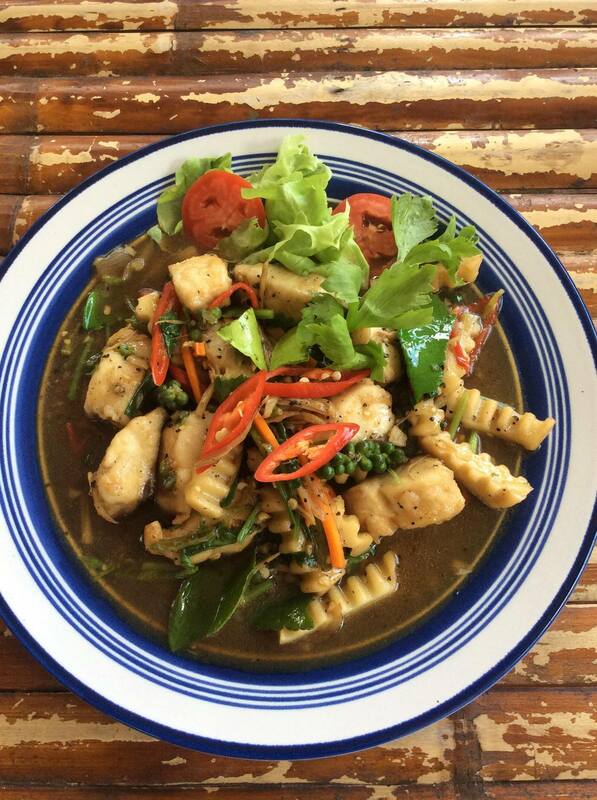 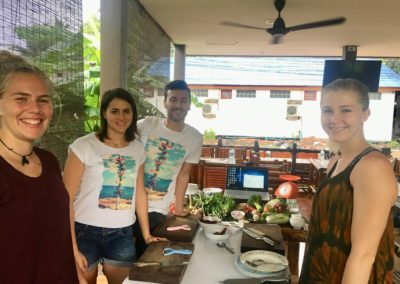 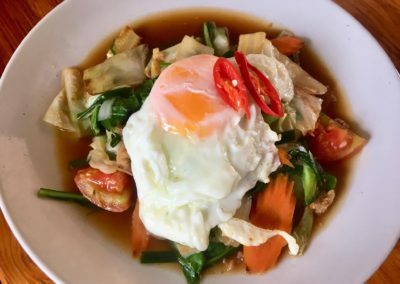 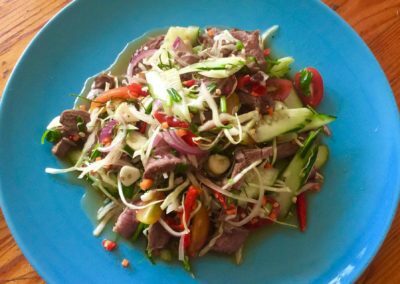 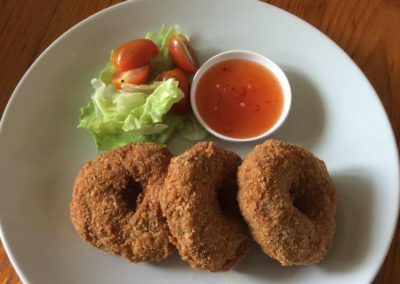 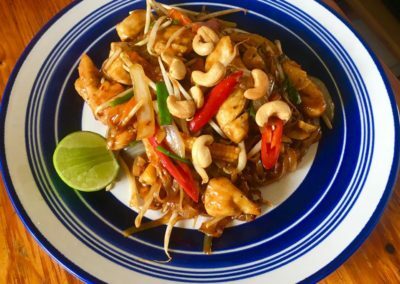 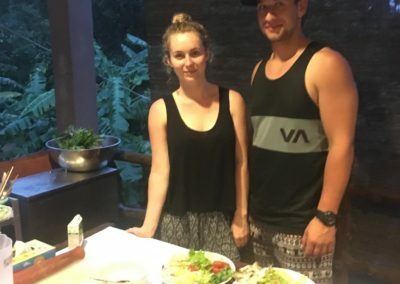 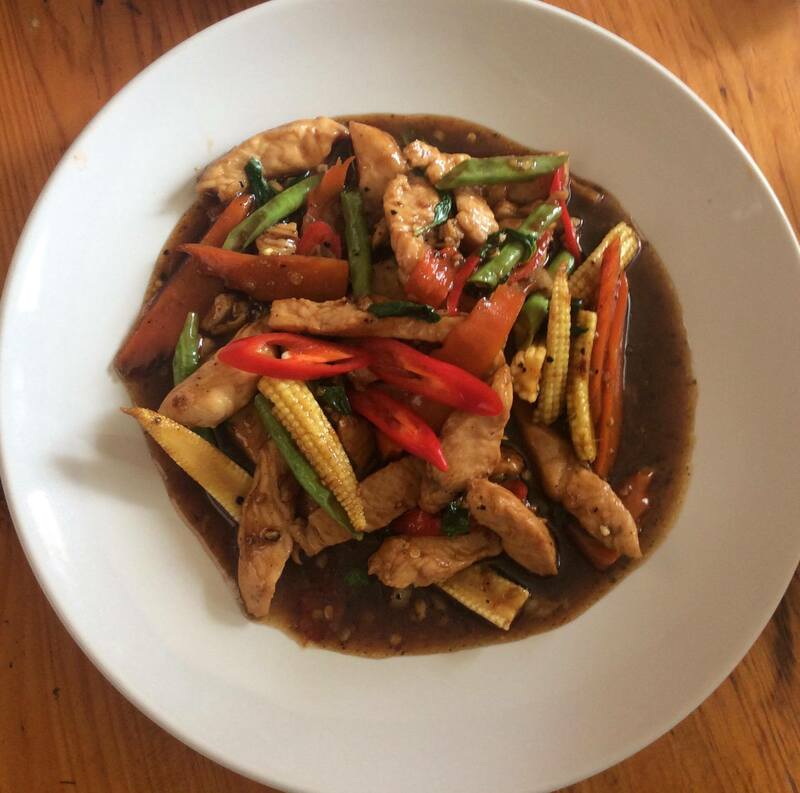 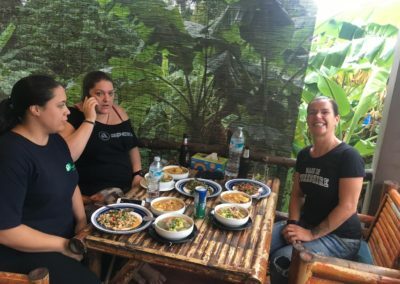 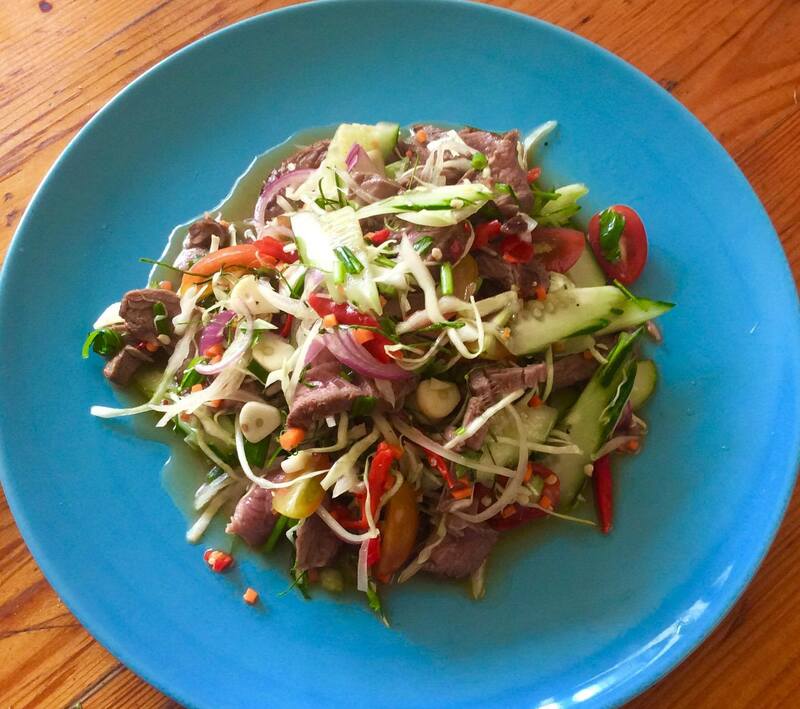 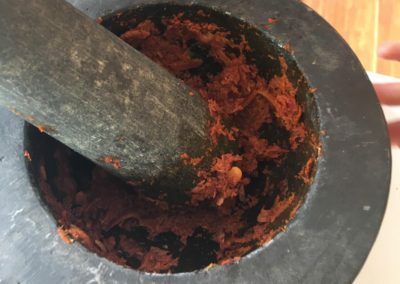 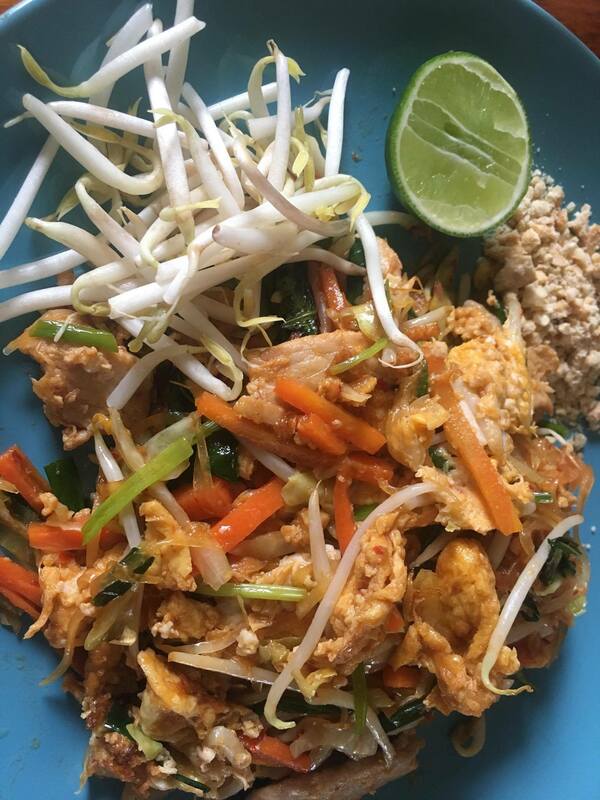 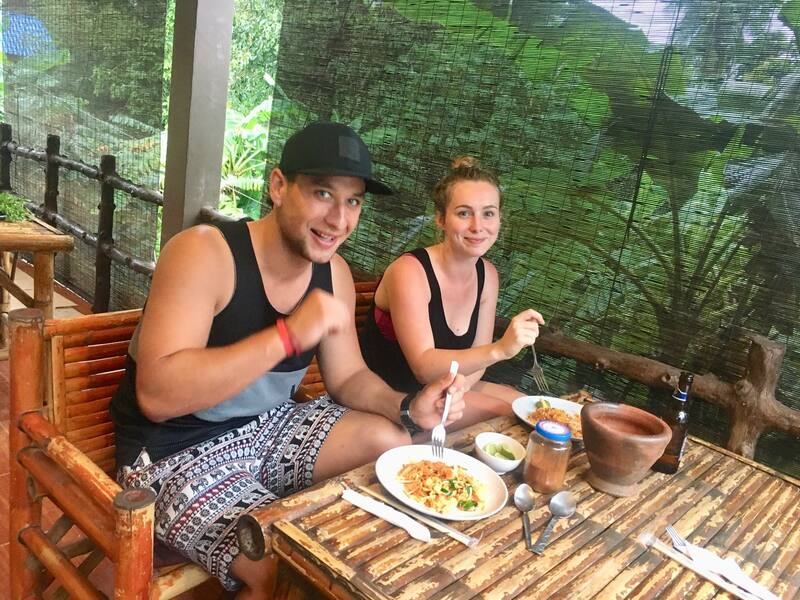 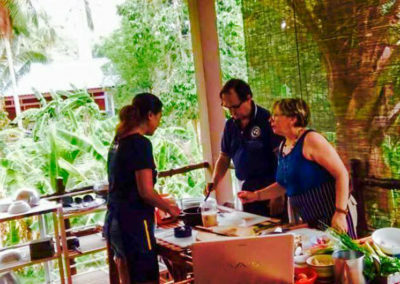 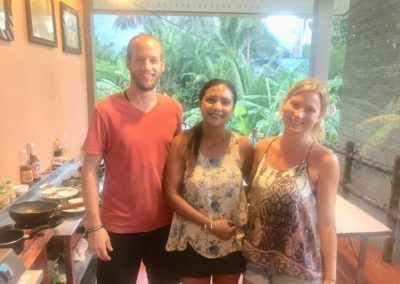 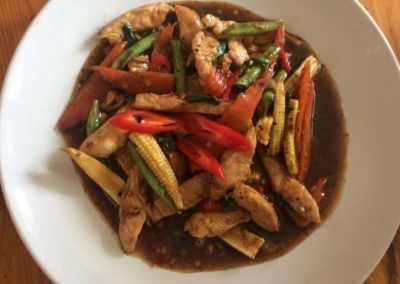 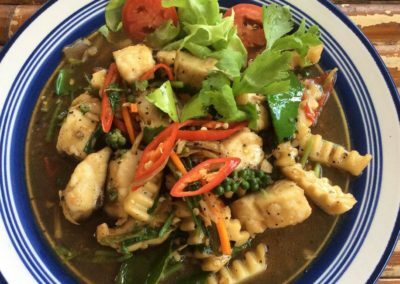 At Idjangs Kitchen, we educate you on all of the ingredients used in our authentic thai cookery, how to prepare and your favourite thai food dishes from scratch, and where on koh tao you can purchase these ingredients. 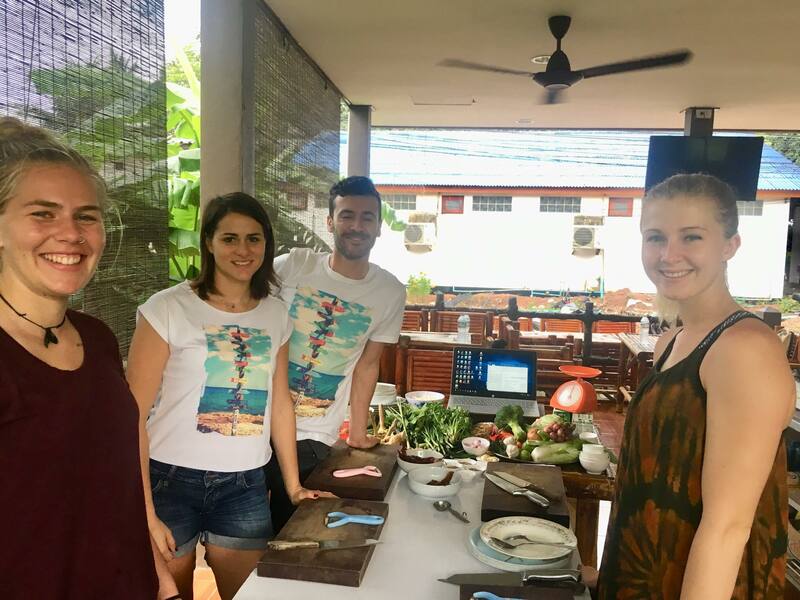 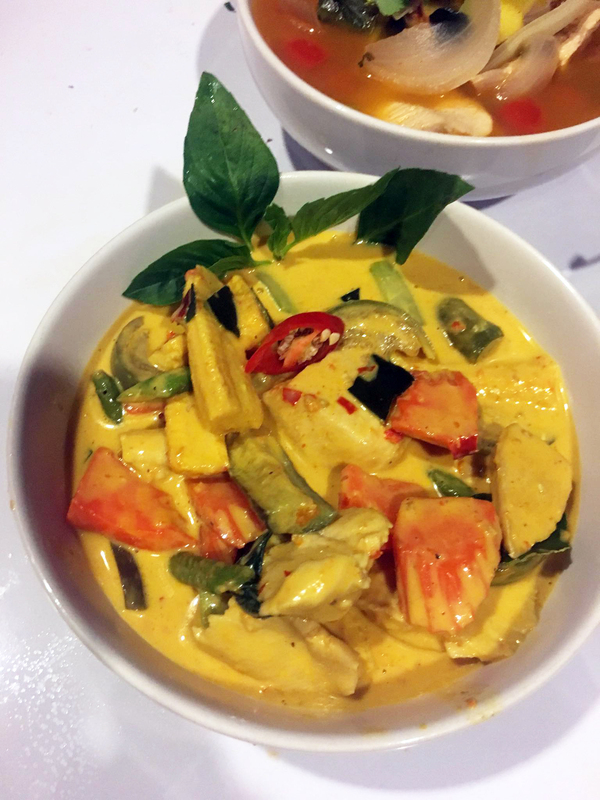 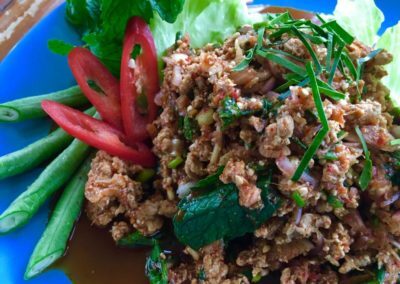 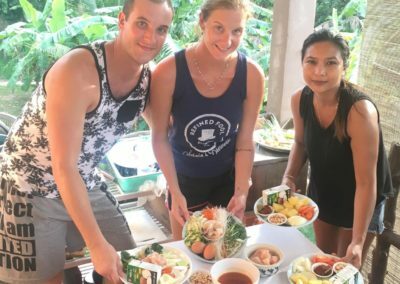 These key lessons combined with the thai food recipes that you cook in our class you will be prepared to cook authentic thai food from the comfort of your own home. 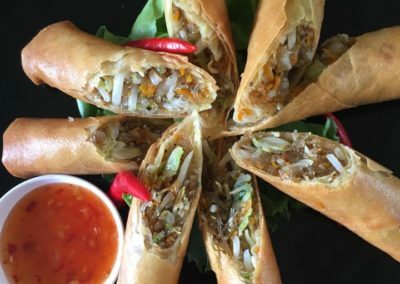 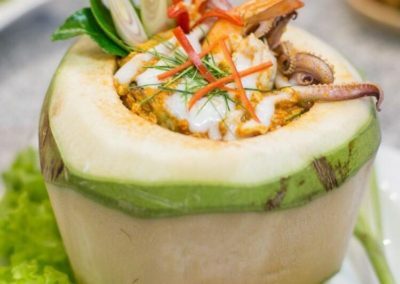 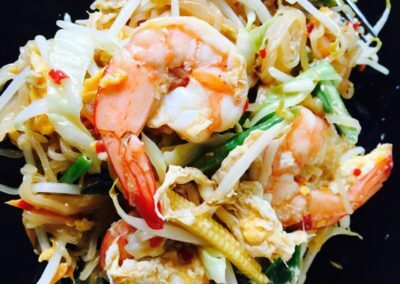 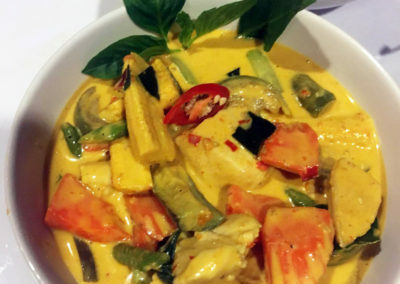 Thai cuisine is famous all over the world and renowned for its wonderfully complex flavours, blending sour, sweet, salty, bitter and spicy tastes to create a wealth of harmonious and mouth-watering dishes. 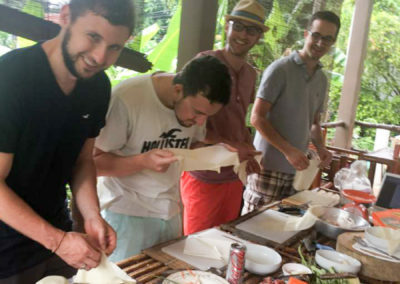 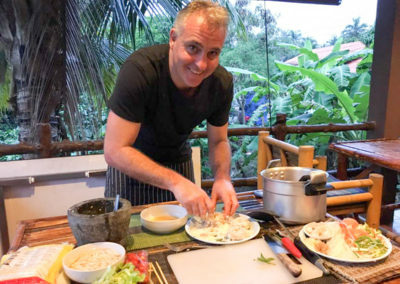 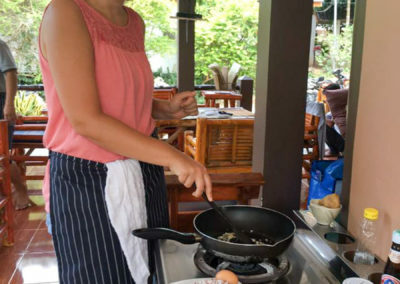 Idjangs Thai cooking classes in Koh Tao supply the students with the opportunity to explore all the colors, textures, and flavours of Thai cooking. As with any kind of classes, having an educated and established teacher is very important. 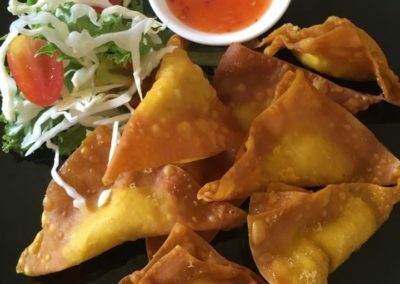 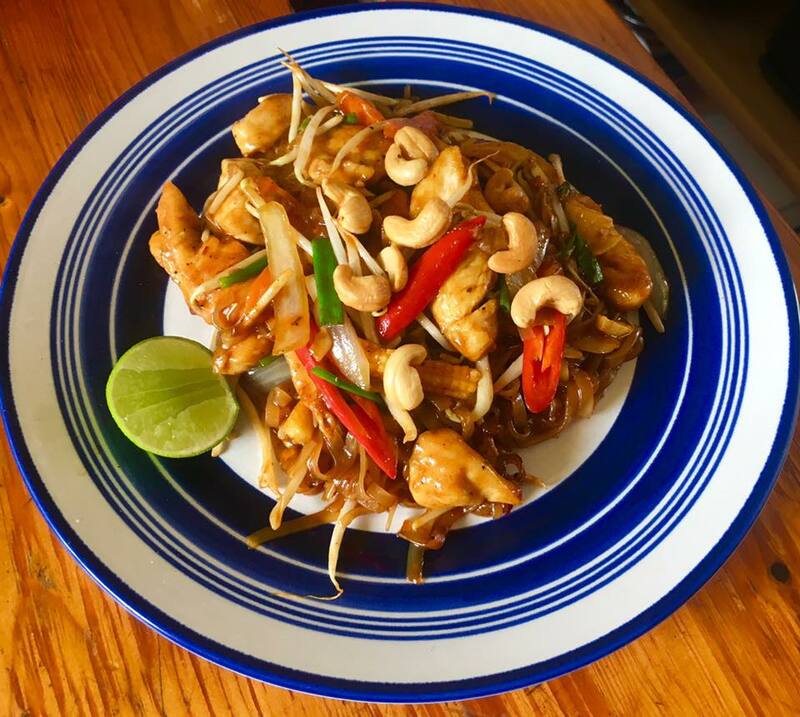 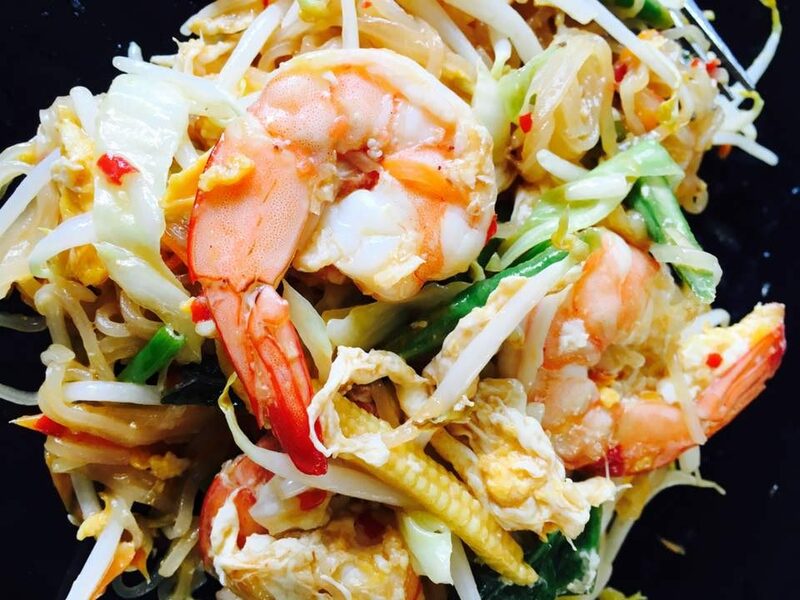 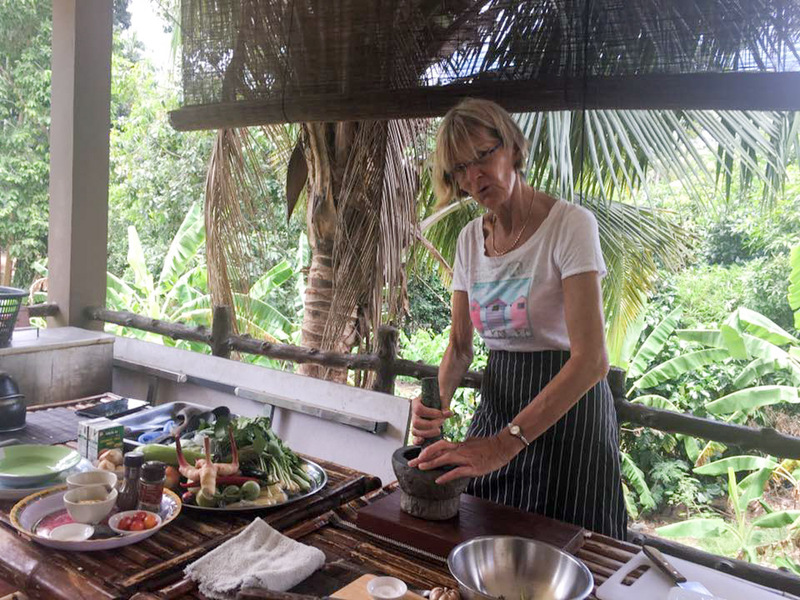 Idjang has taught literally thousands of students the art of authentic Thai cooking through her classes and the quality of her skills are shown through the growing success of her Thai restaurant – Idjangs Thai Kitchen & Cookery. 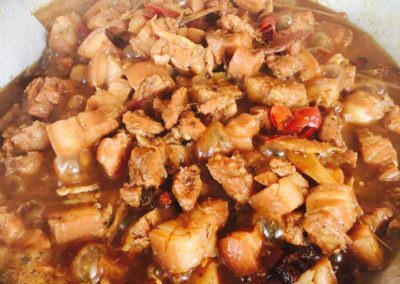 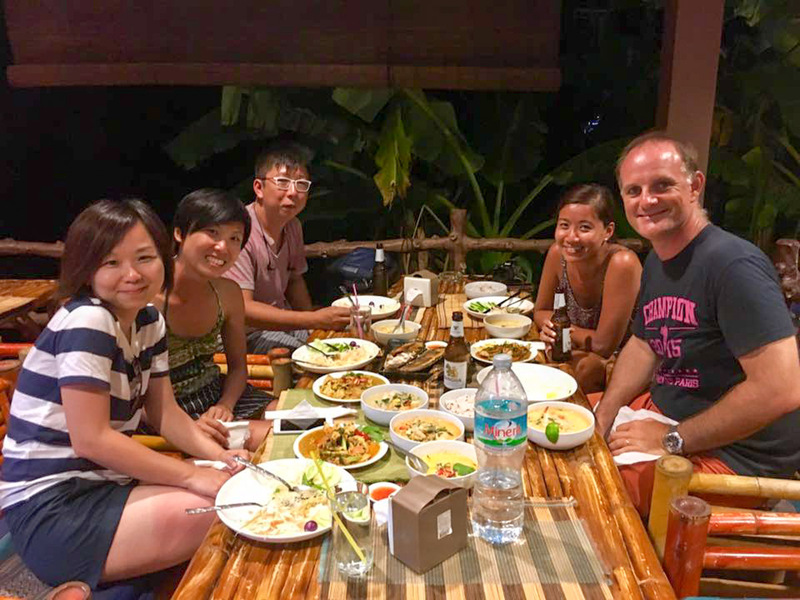 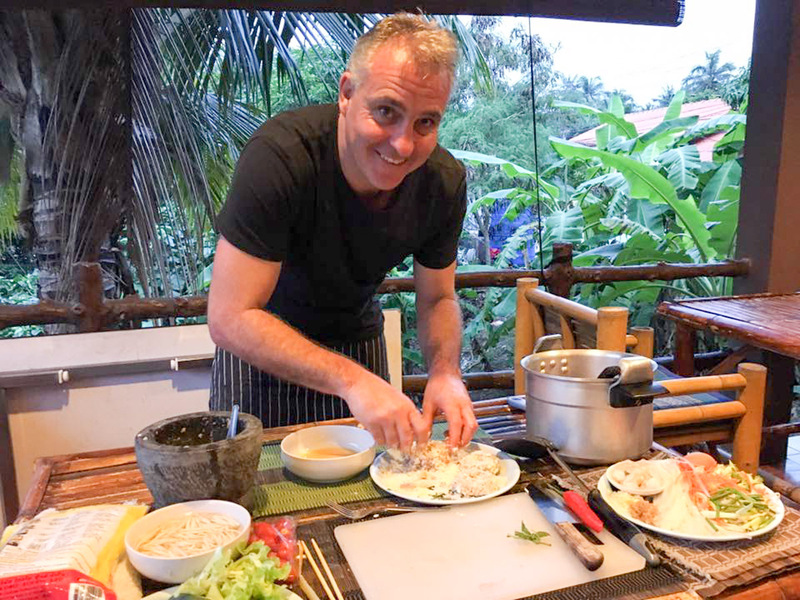 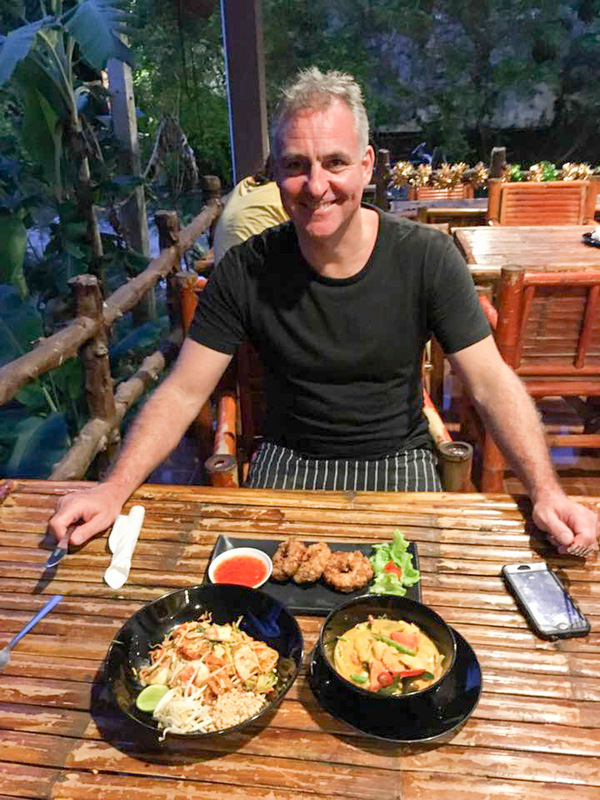 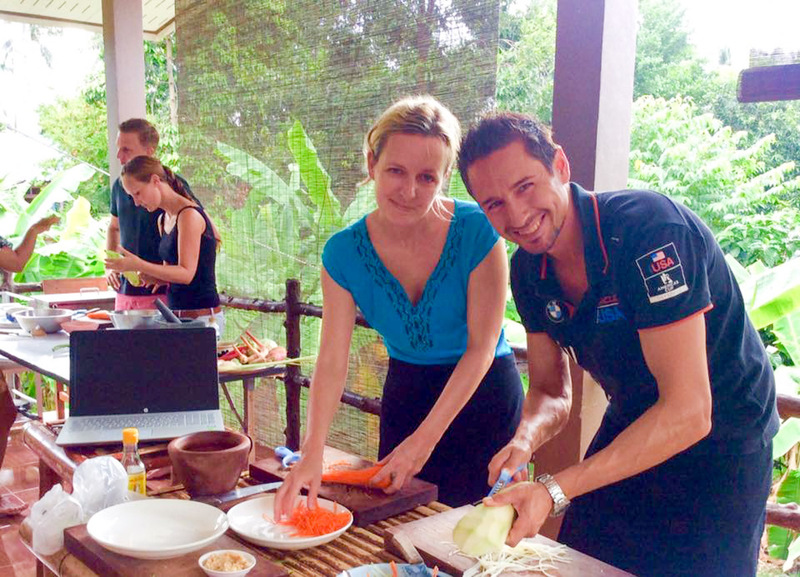 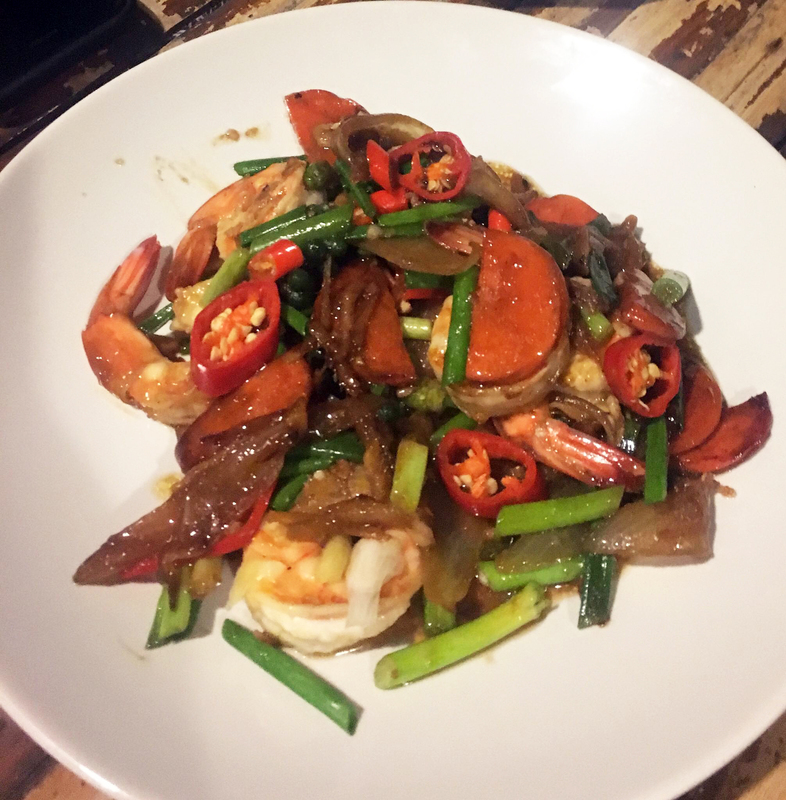 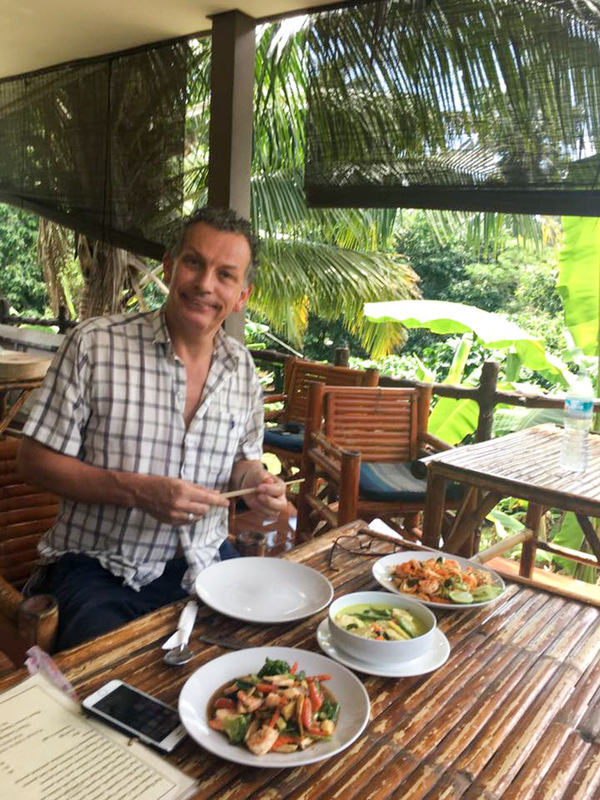 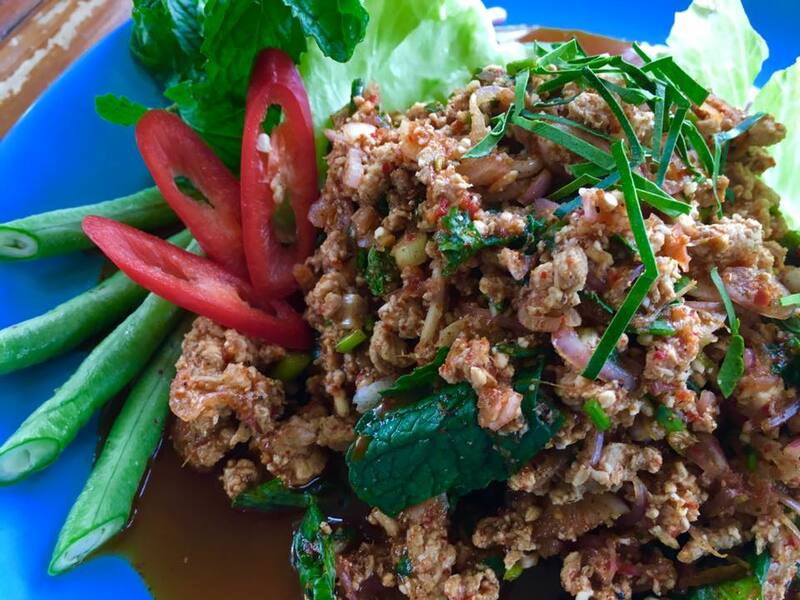 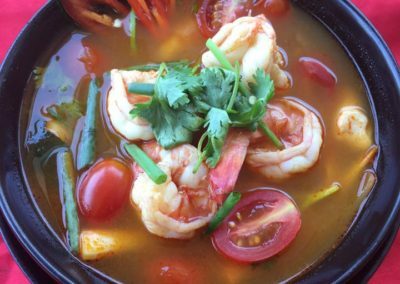 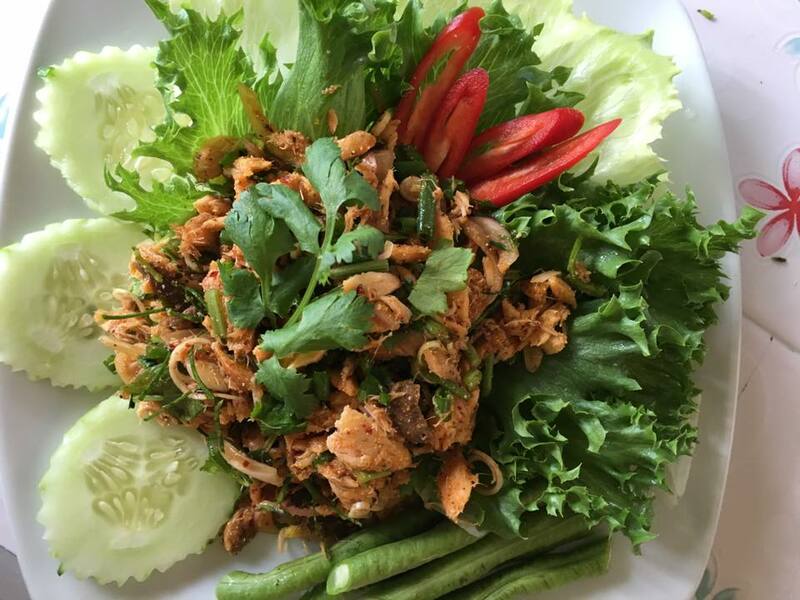 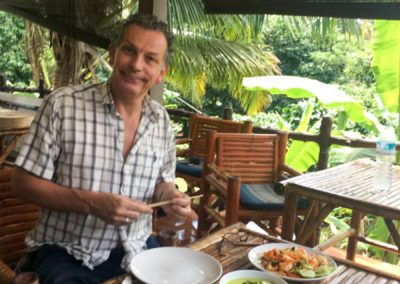 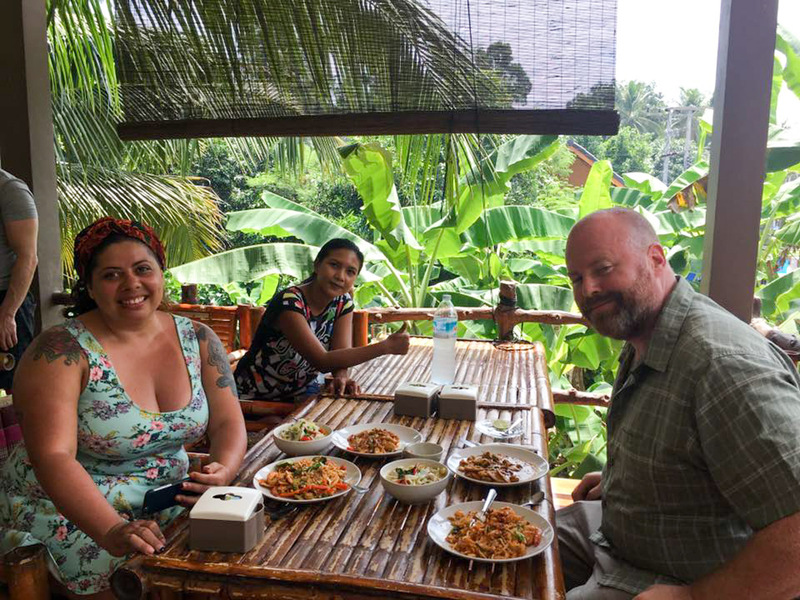 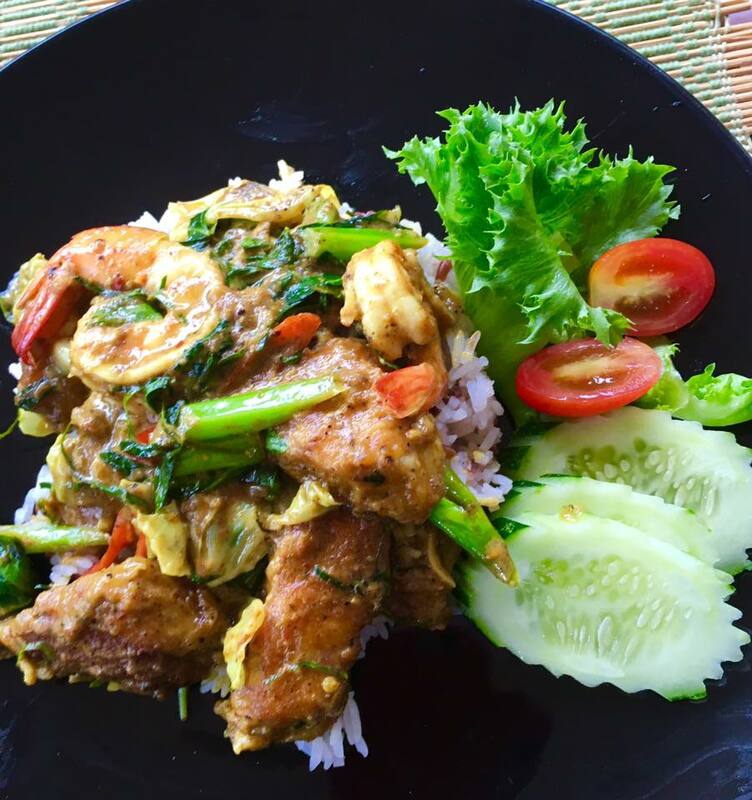 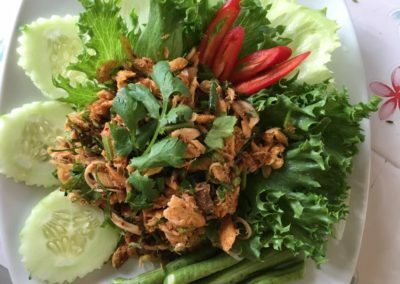 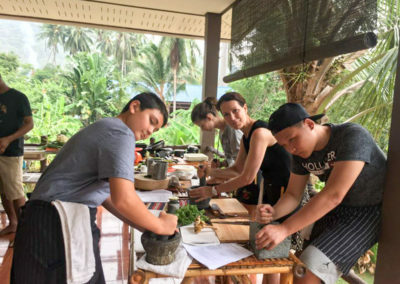 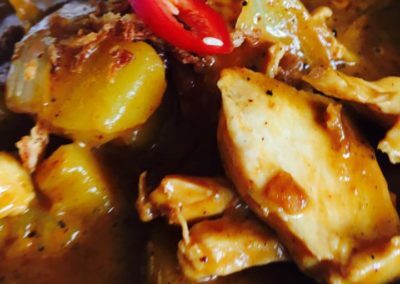 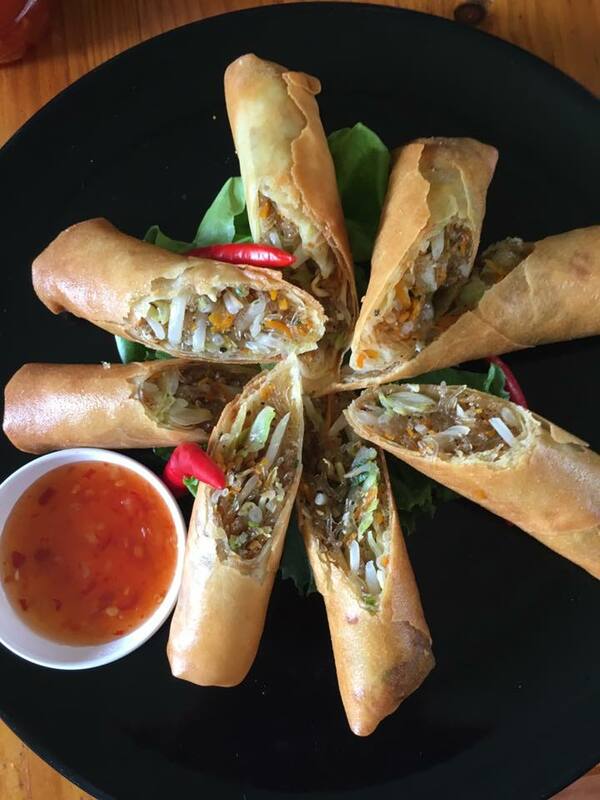 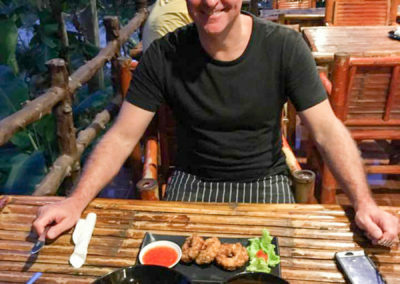 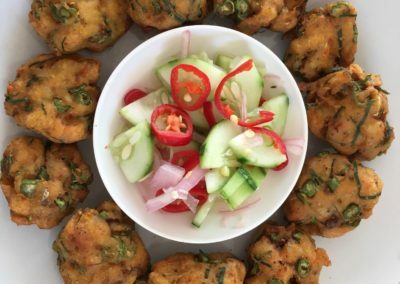 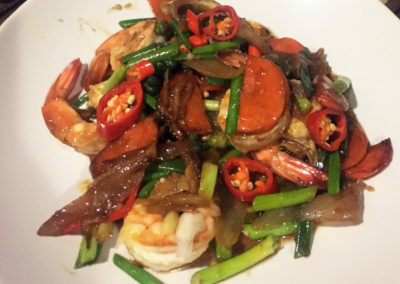 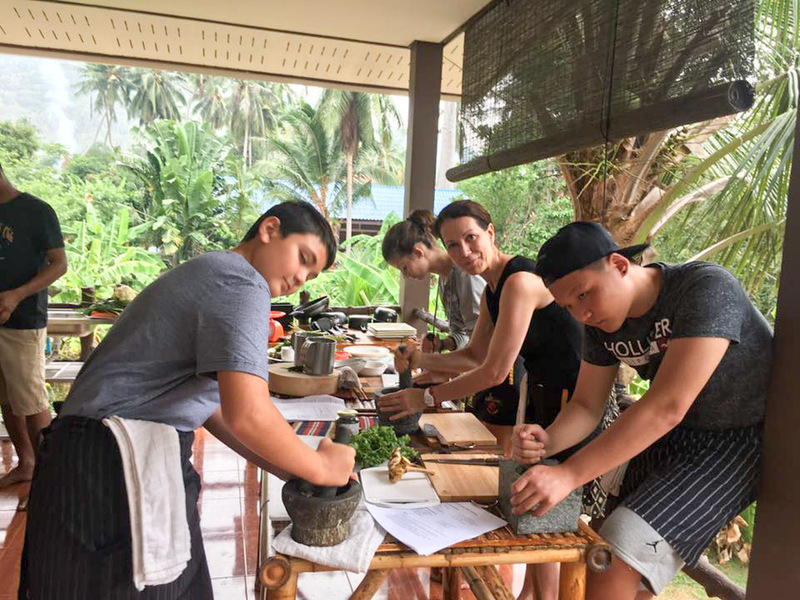 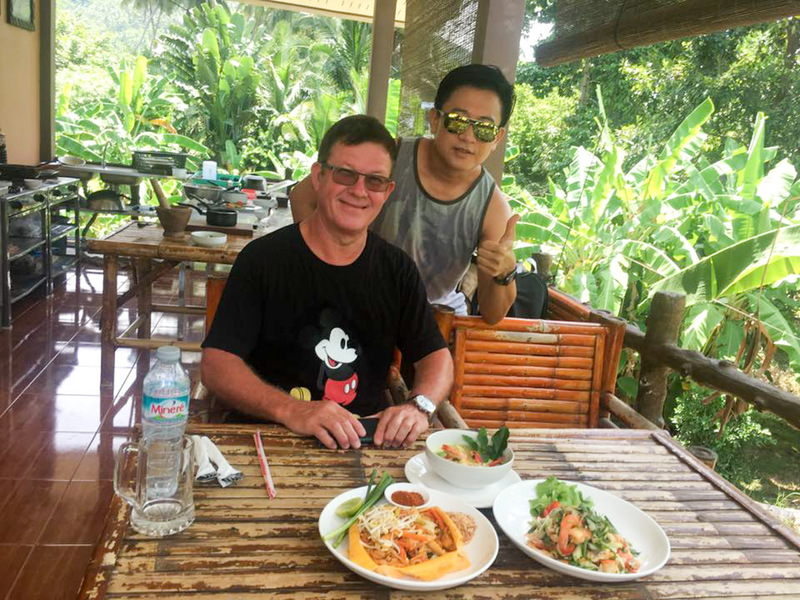 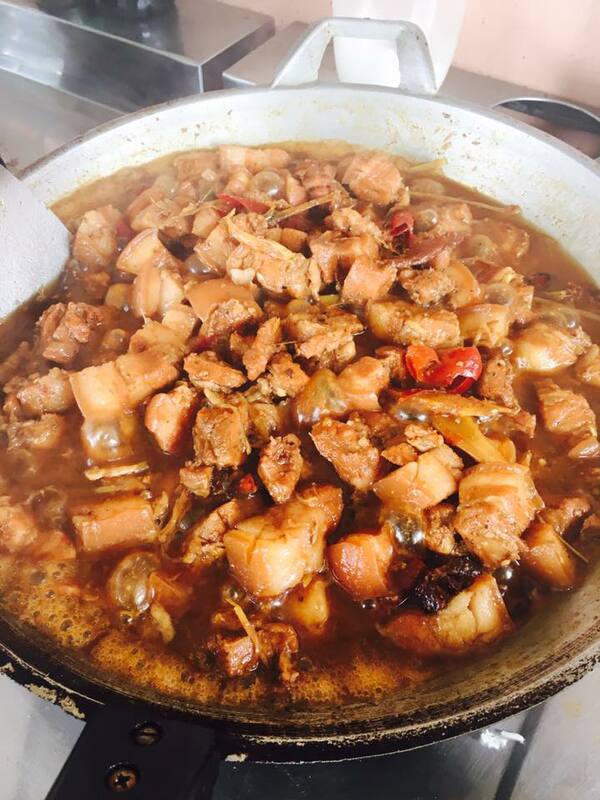 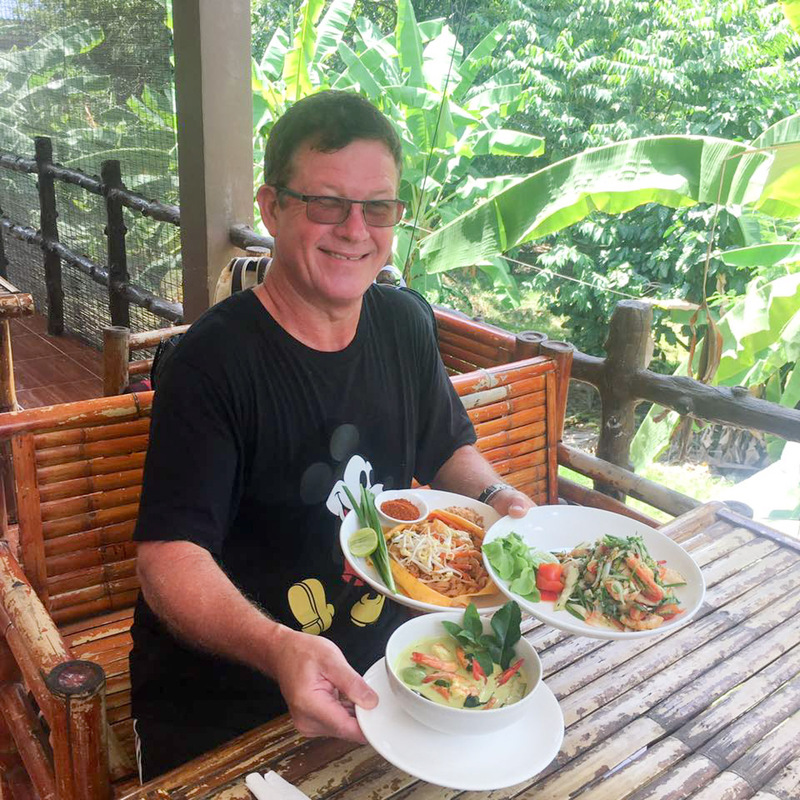 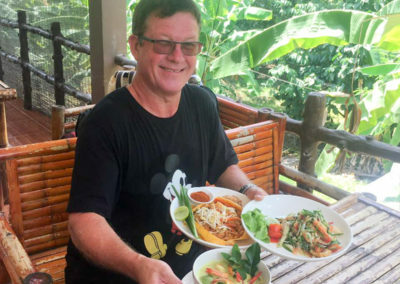 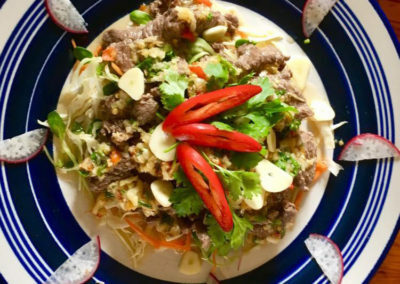 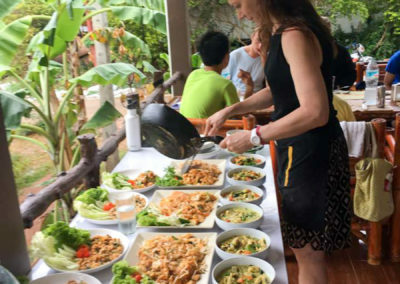 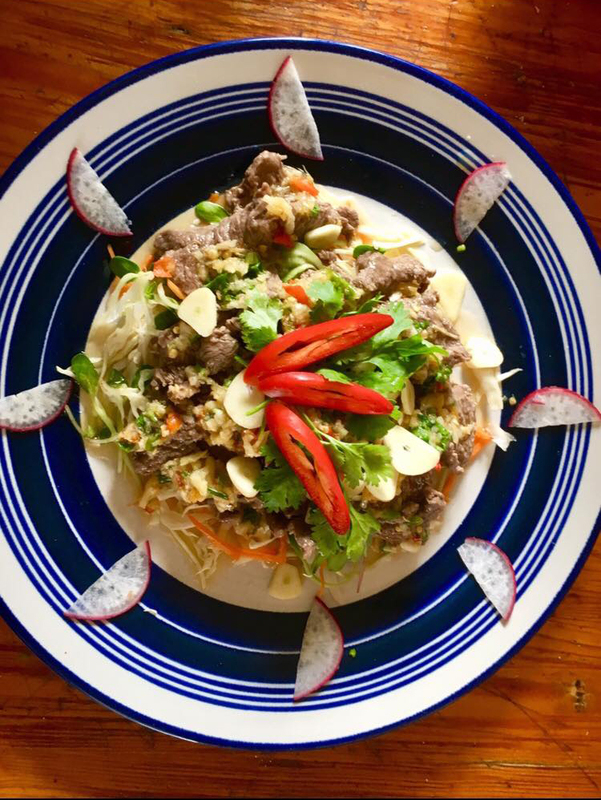 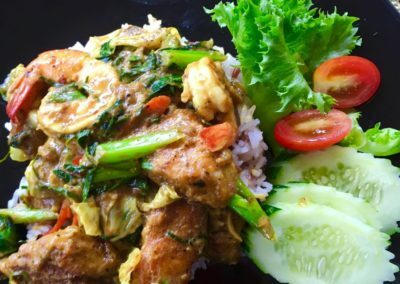 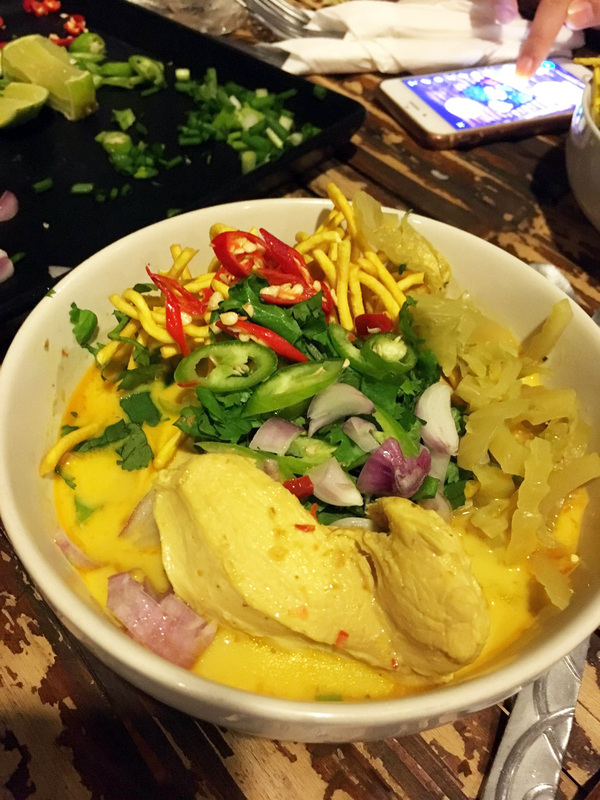 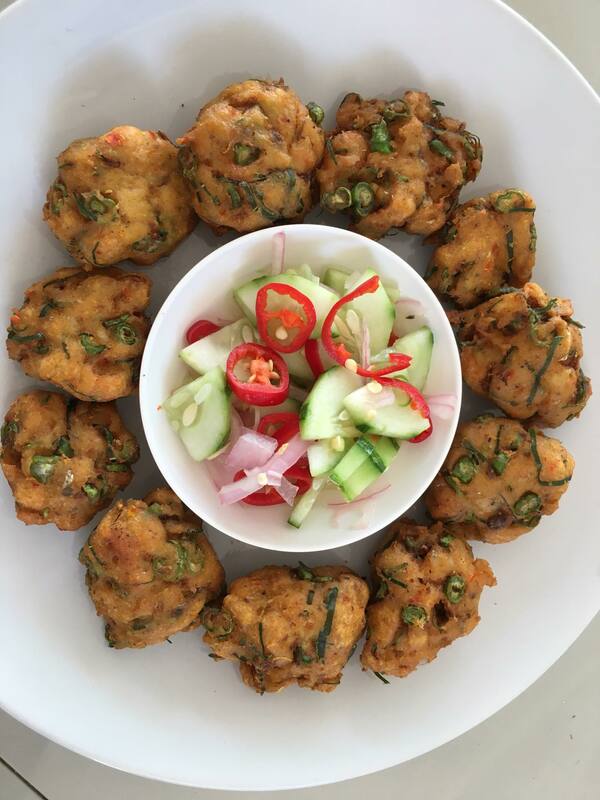 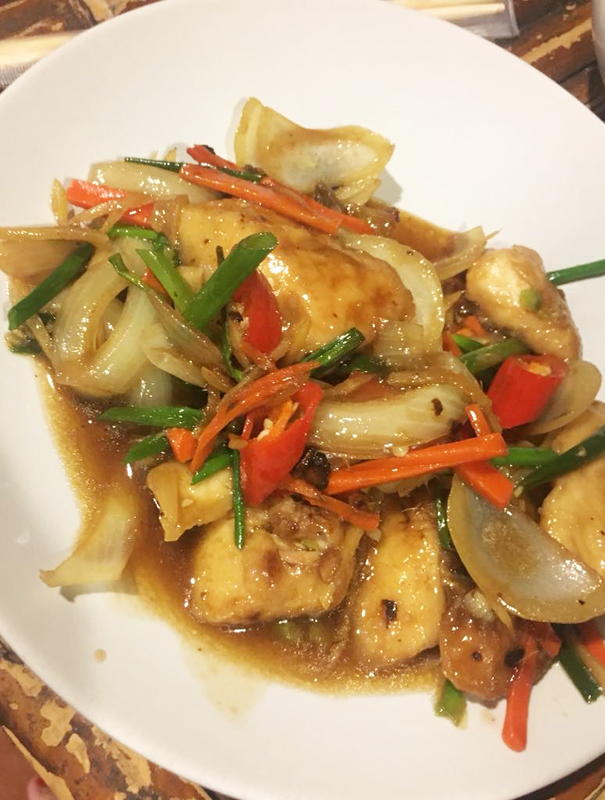 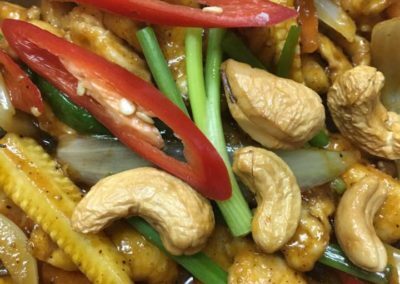 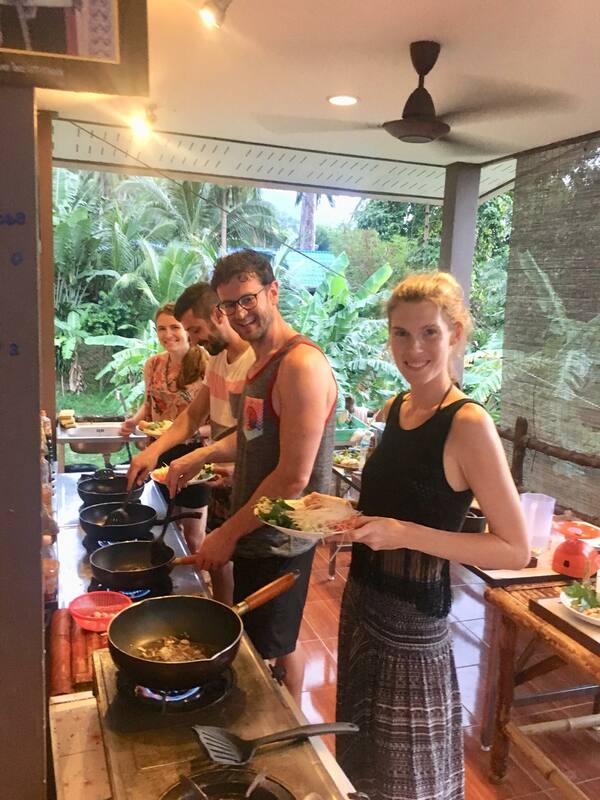 With over 10 years cooking in a commercial thai kitchen and a lifetime of experience in cooking for friends and family, you can rest assured that Idjangs Thai Cooking Class is a friendly experience that will follow you for years to come. 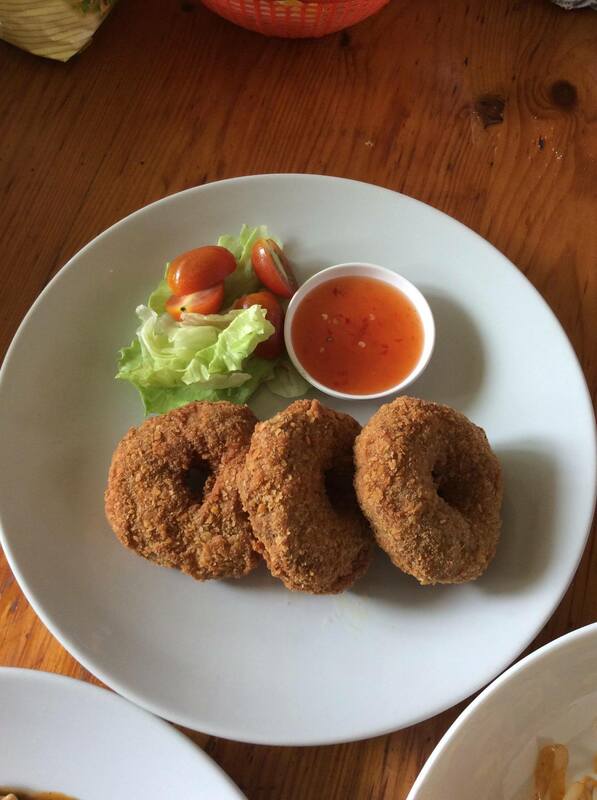 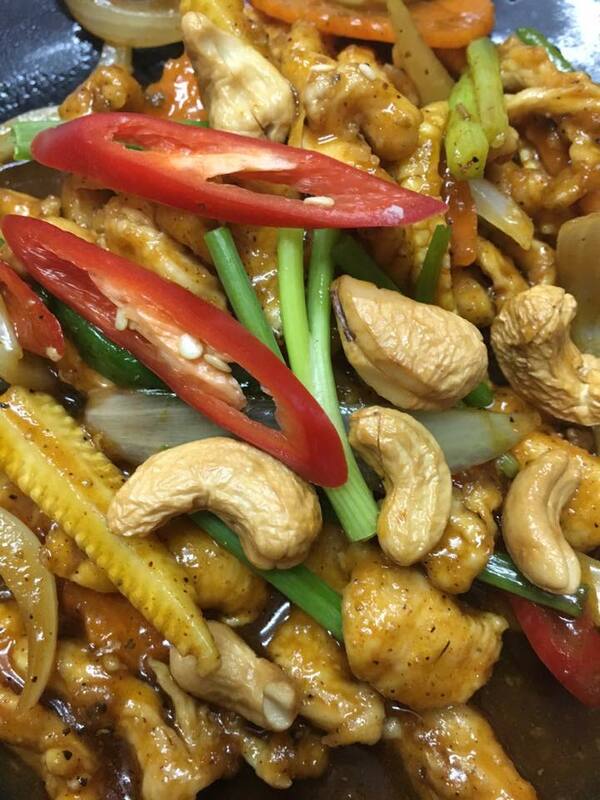 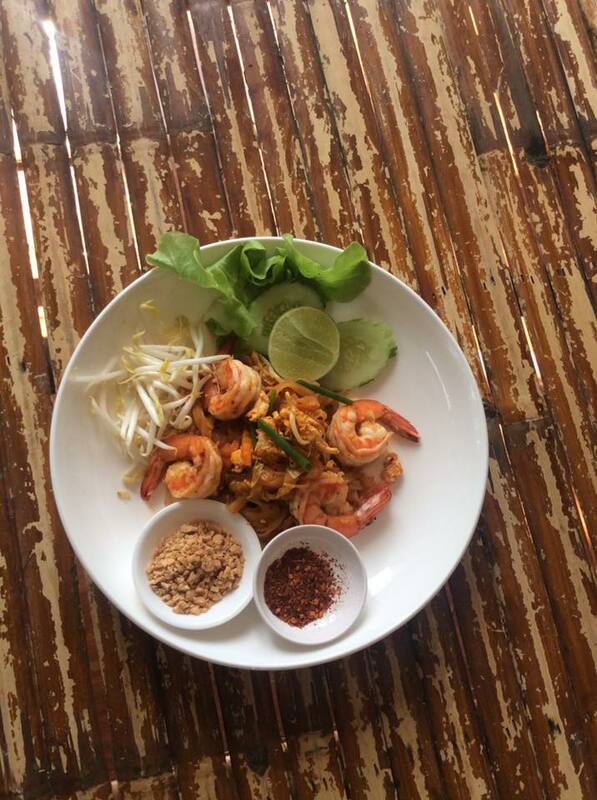 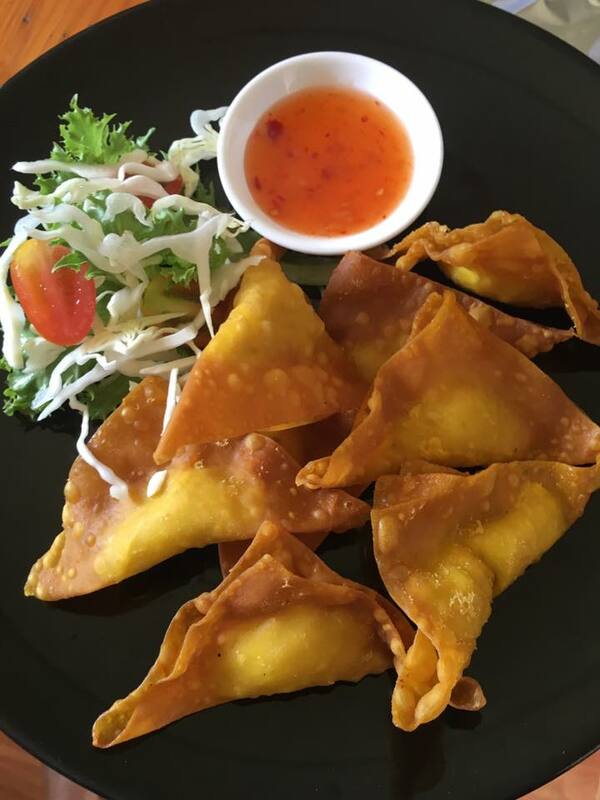 We begin by letting our customers select from their favourite Thai dishes. 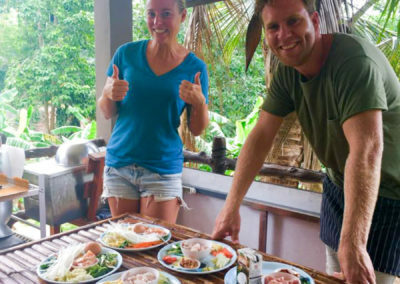 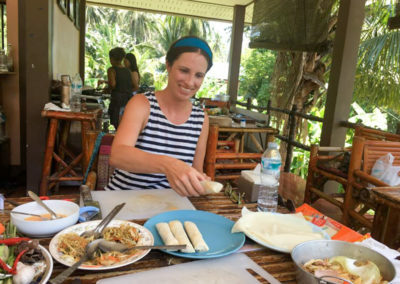 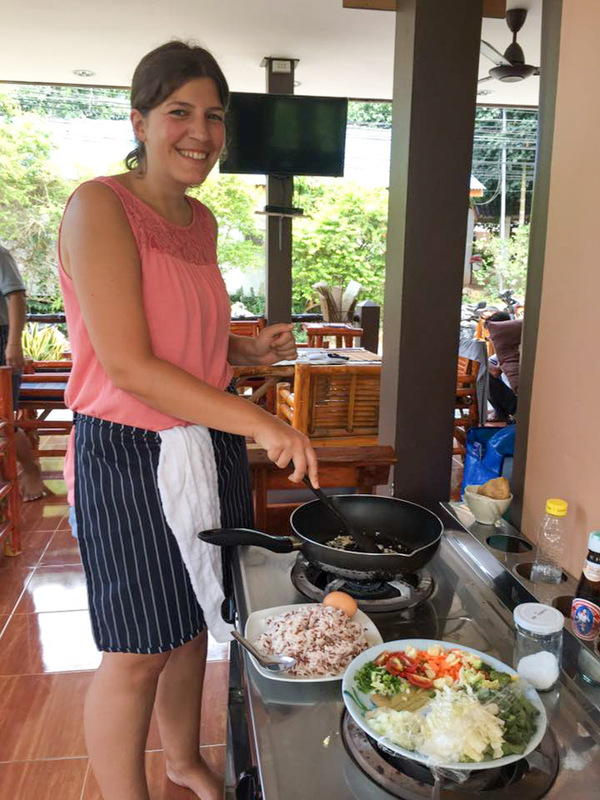 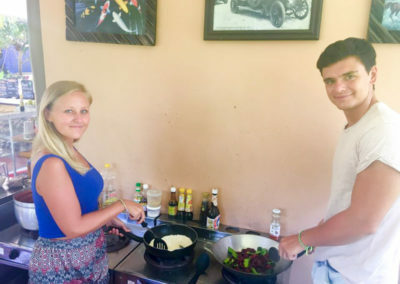 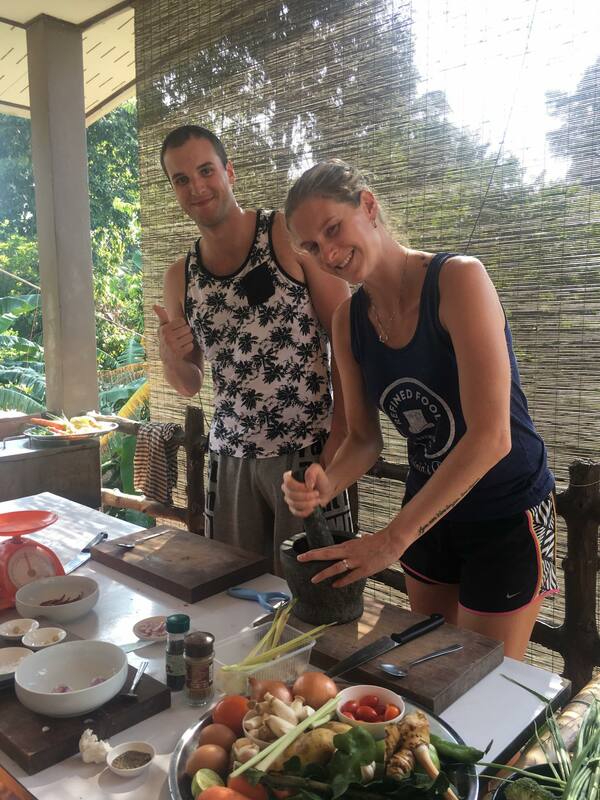 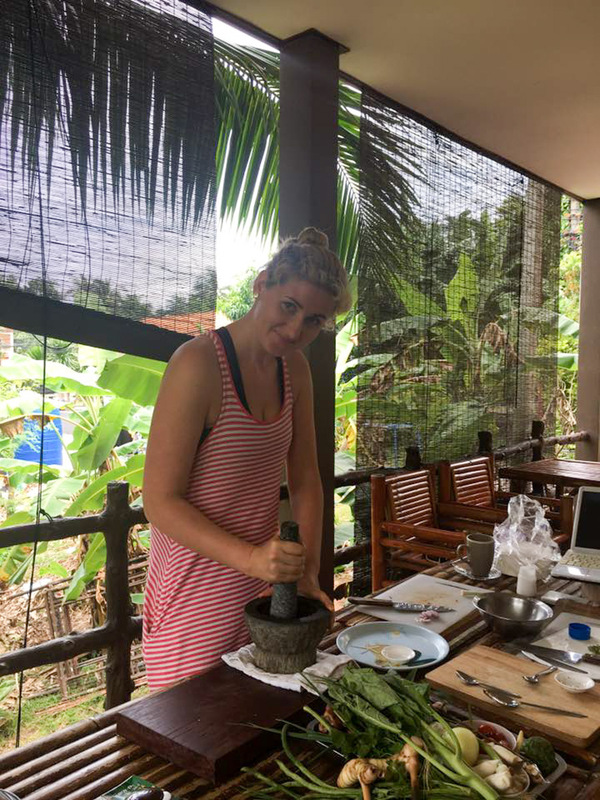 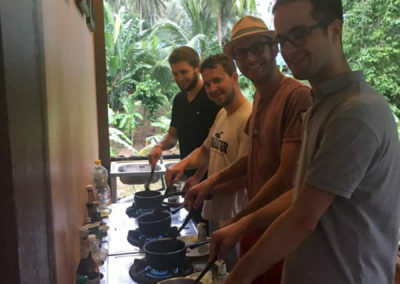 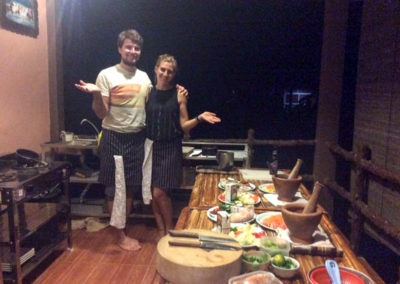 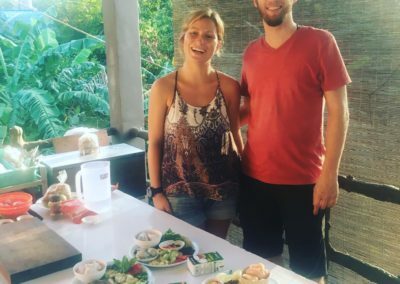 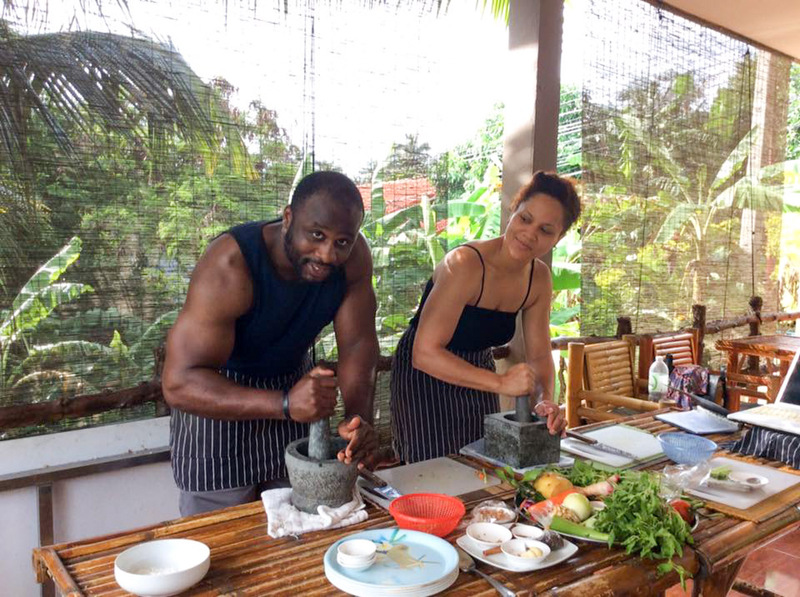 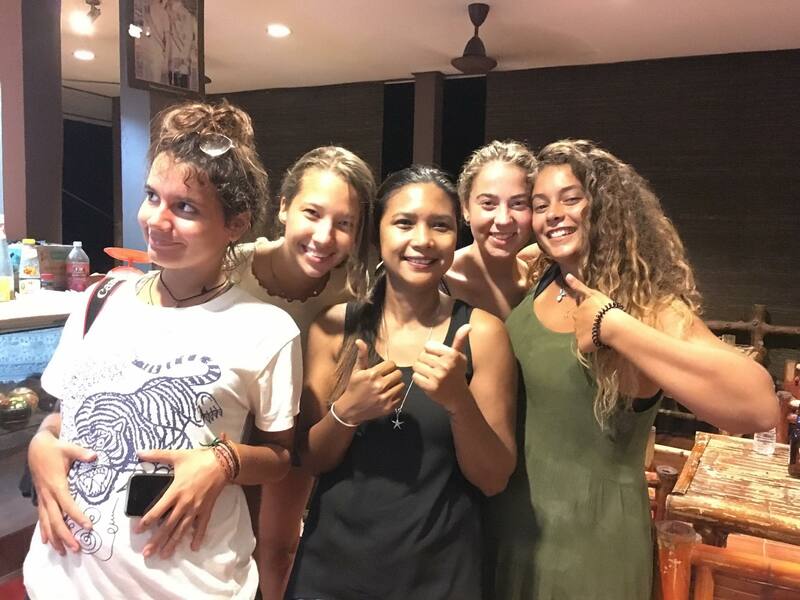 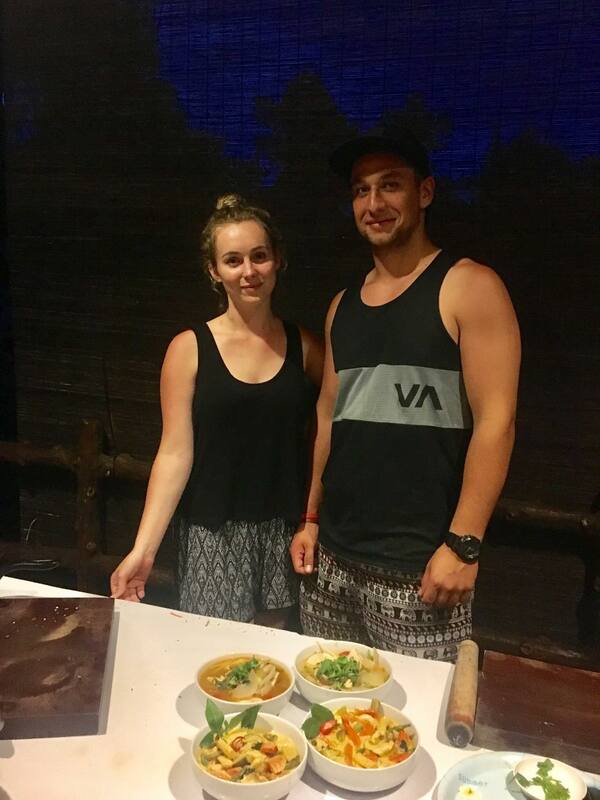 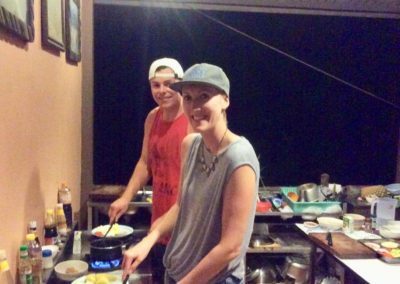 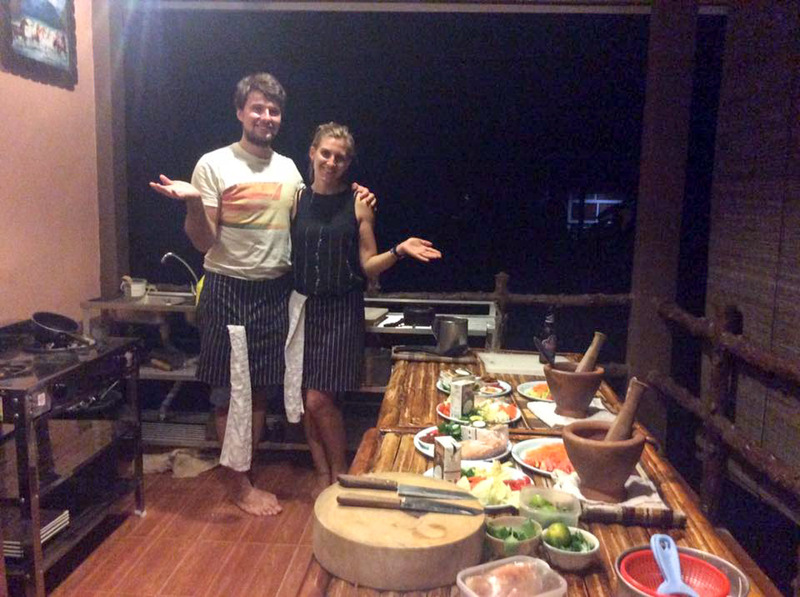 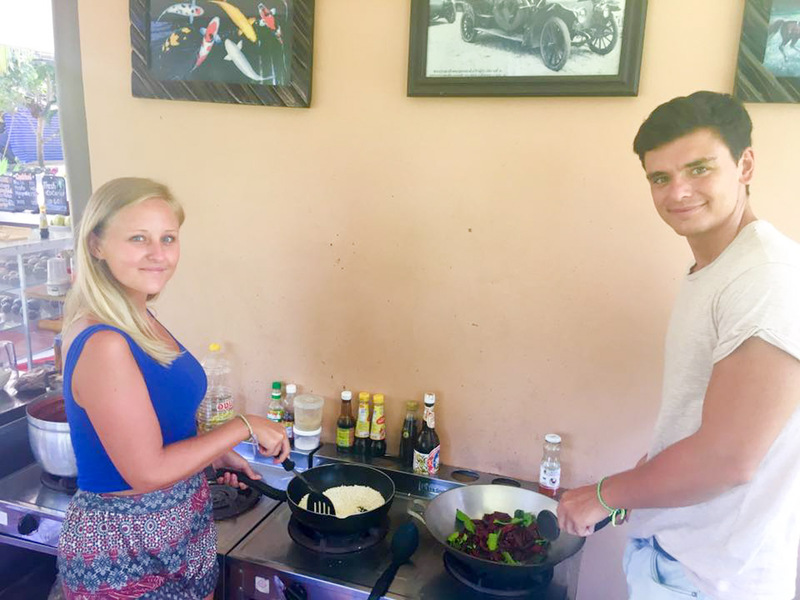 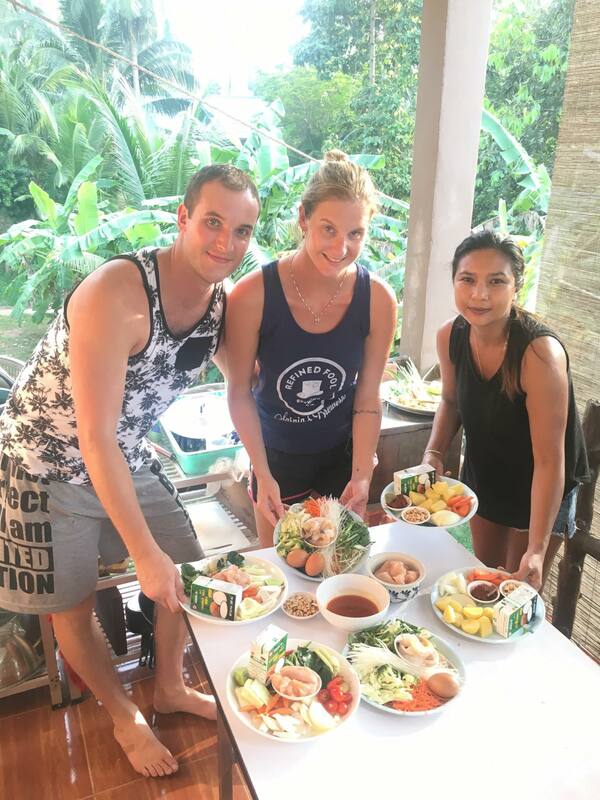 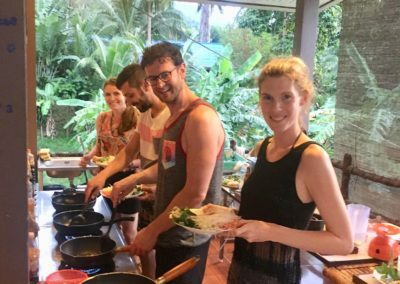 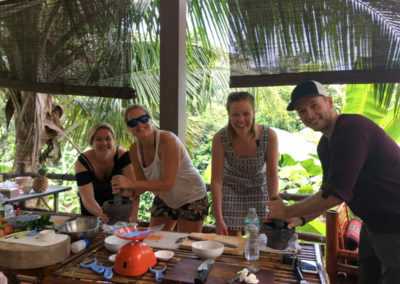 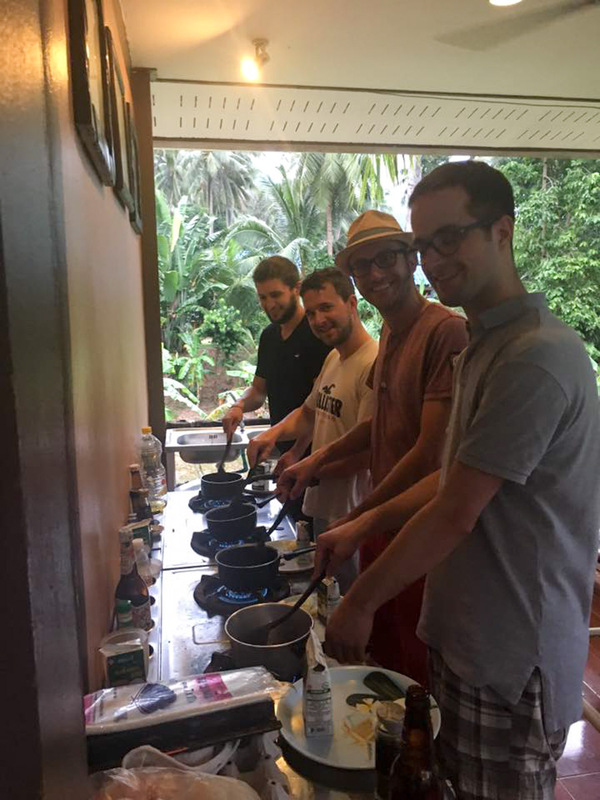 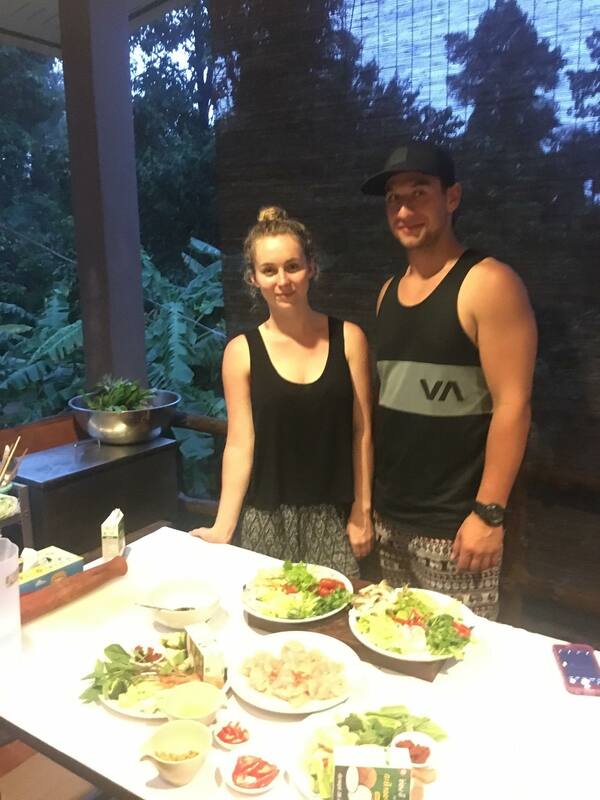 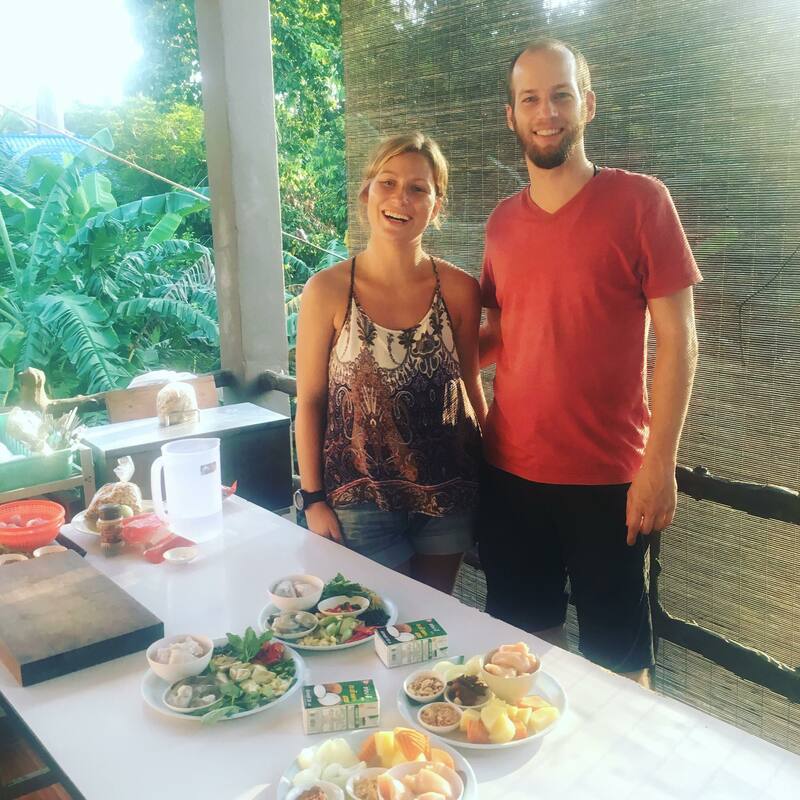 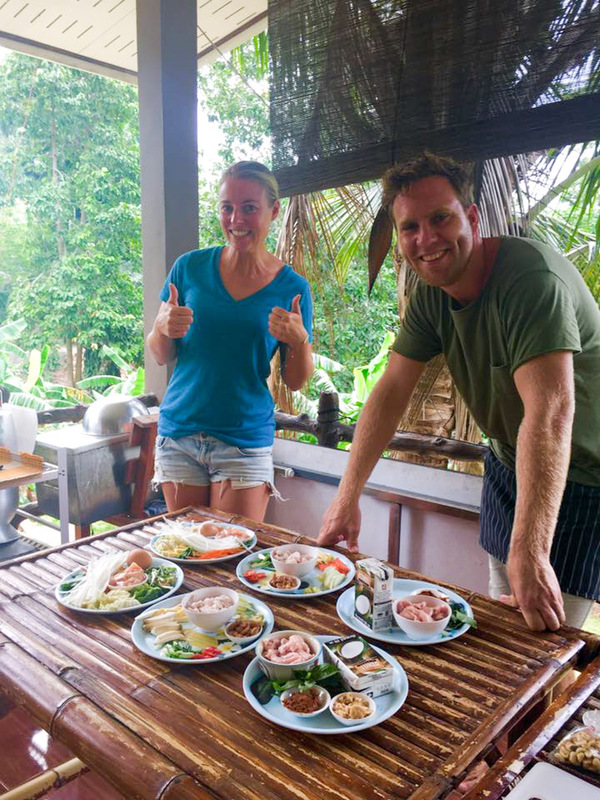 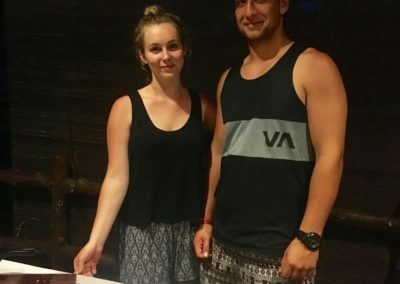 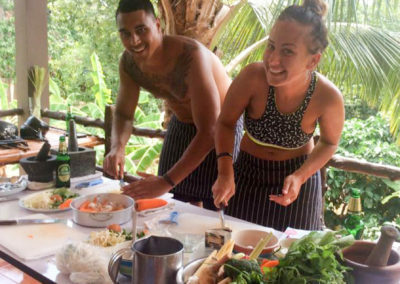 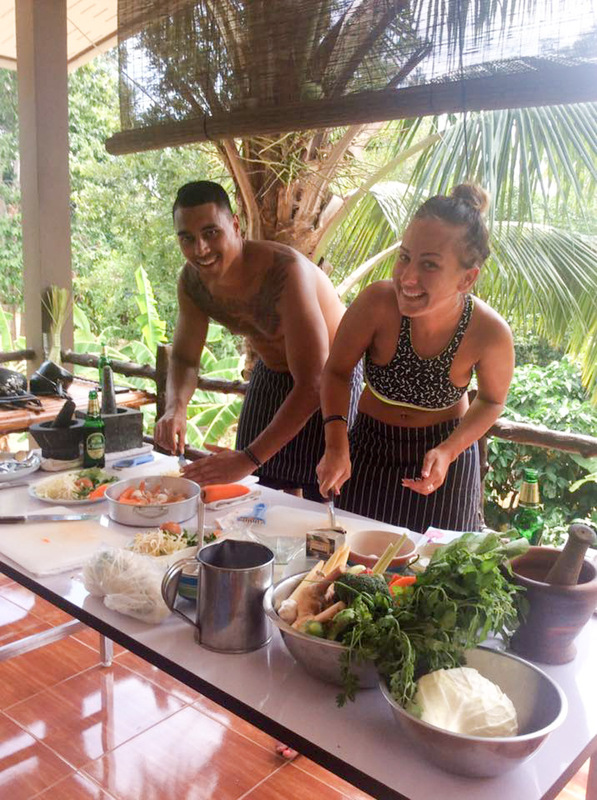 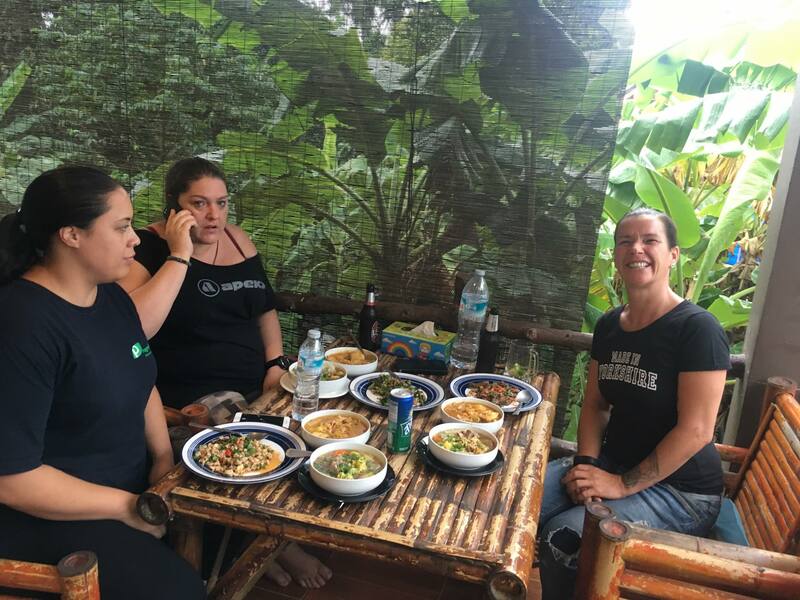 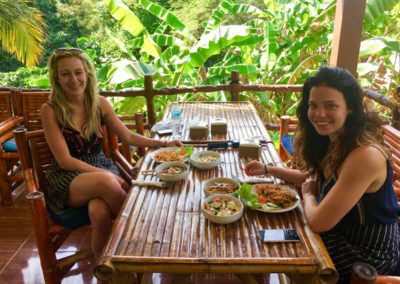 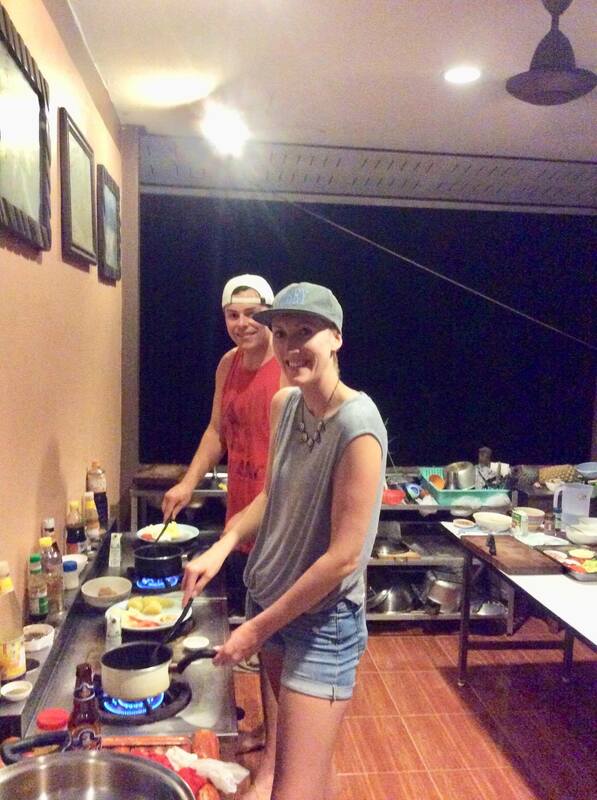 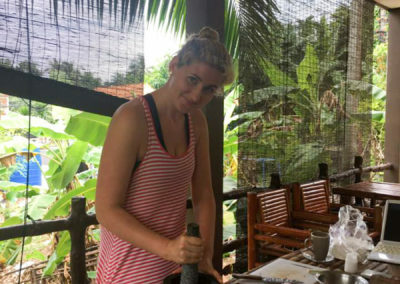 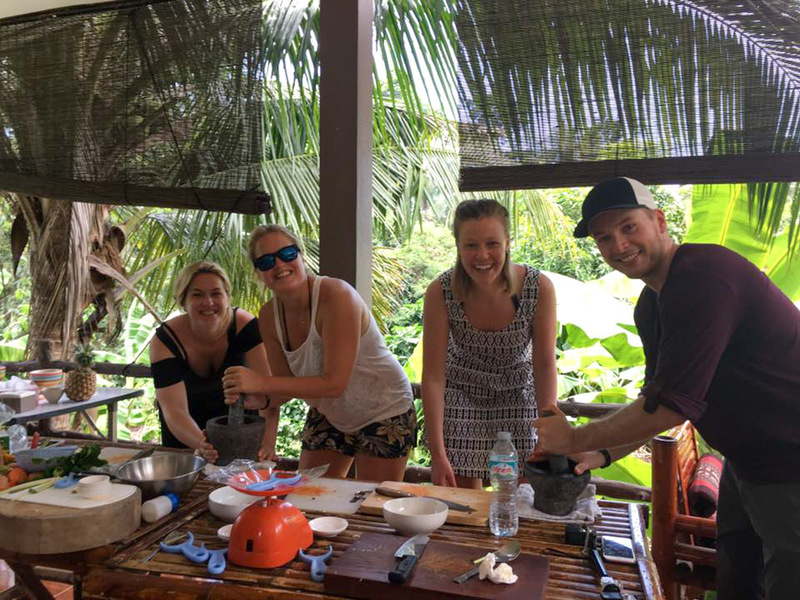 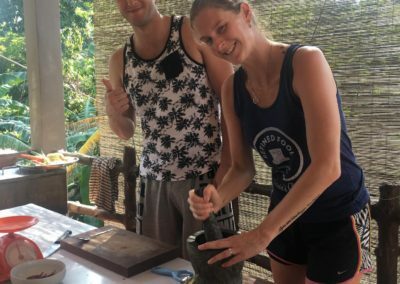 Idjangs Thai cooking classes in Koh Tao are meant to fun so we like to give our students as much flexibility as they desire. 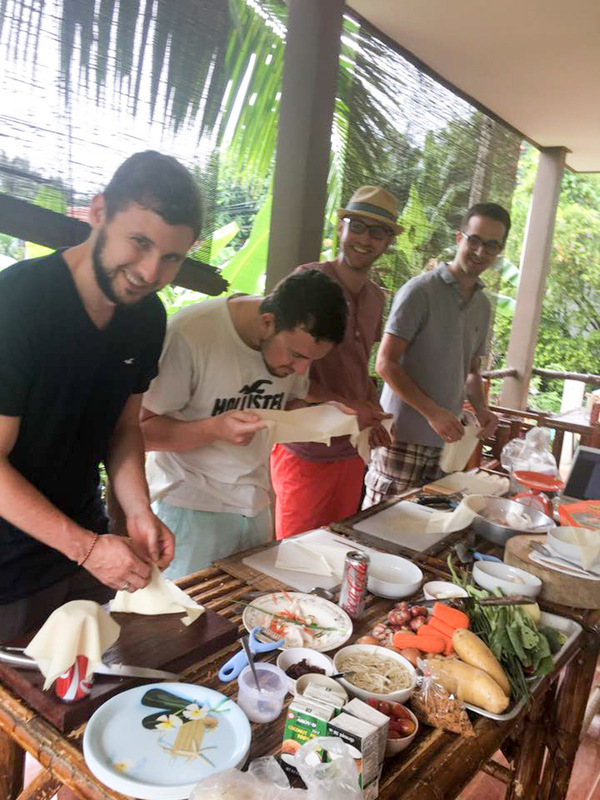 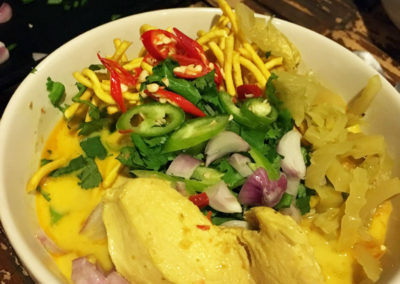 You will cook a series of Thai dishes with a group that could range from one to six people. 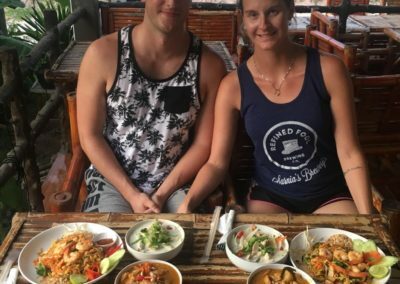 These dishes are completely based off of Idjangs signature Thai recipes and her local experience. 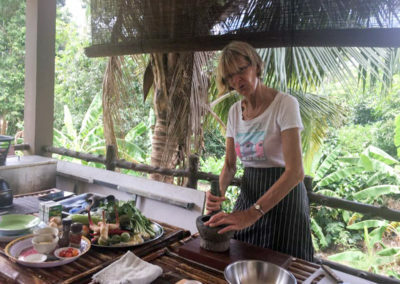 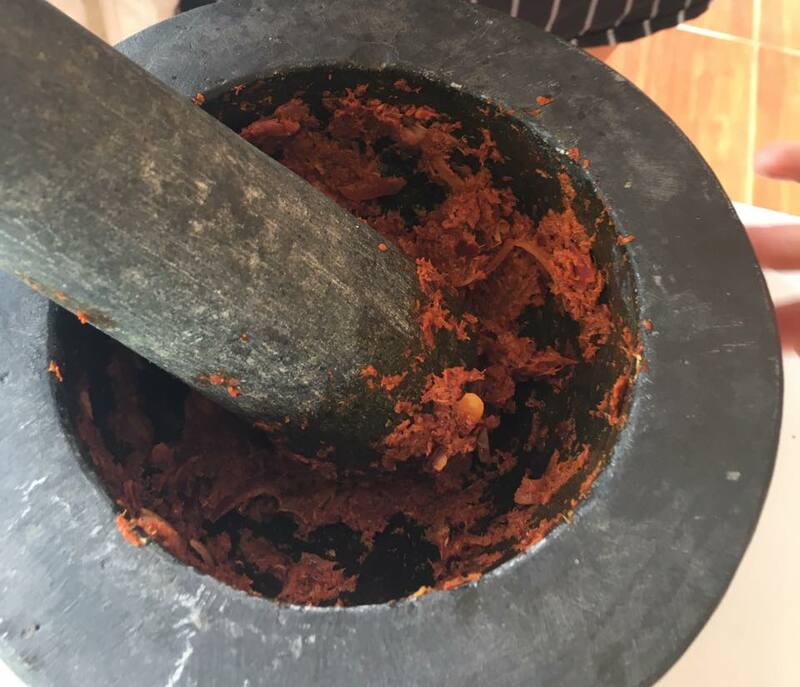 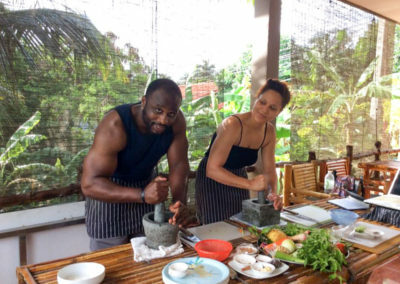 This one day experience will give you the opportunity to have hands on experience, in a relaxed and friendly atmosphere, with lots of tips on general cooking and plenty of one to one time with the chef herself, Idjang. 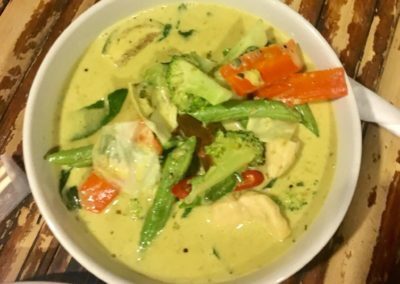 Can be tailored to be vegetarian, vegan and gluten free.